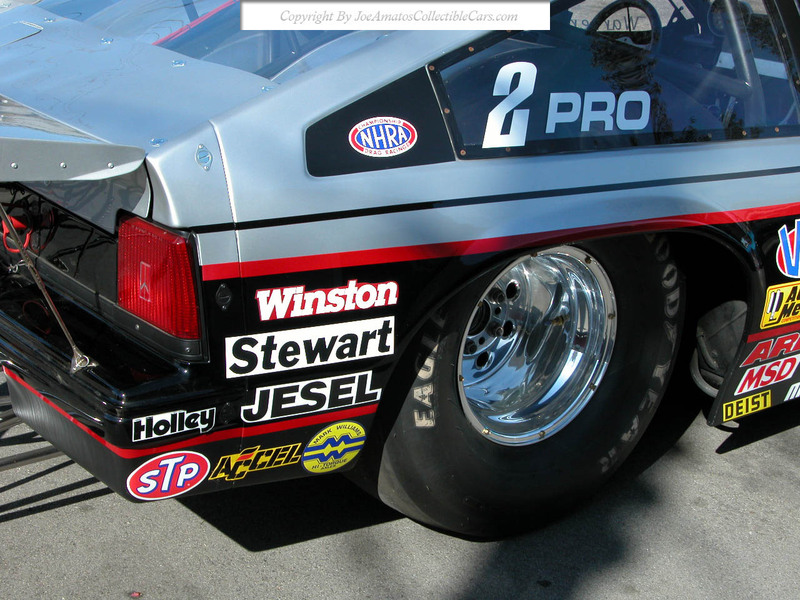 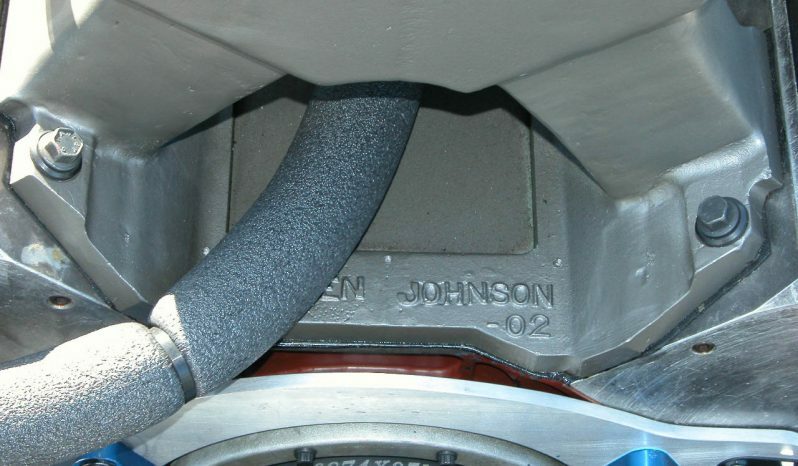 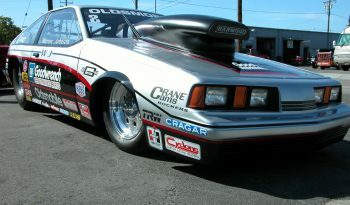 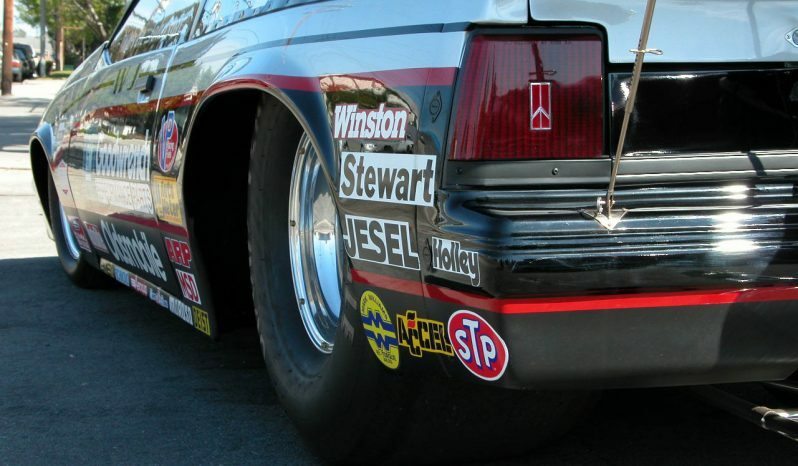 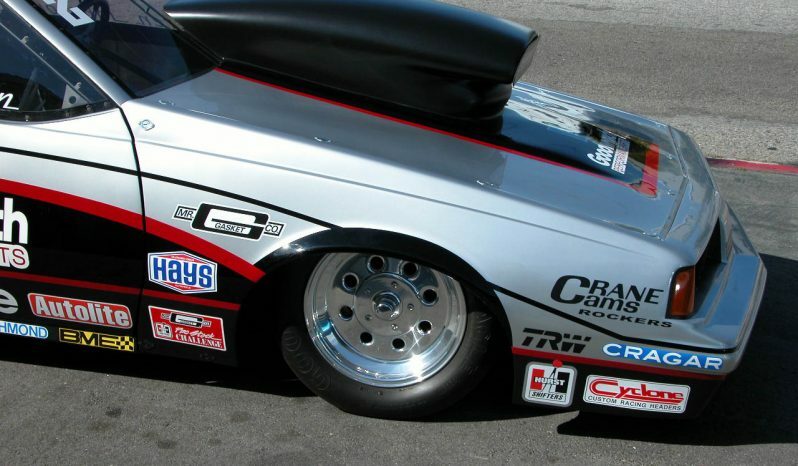 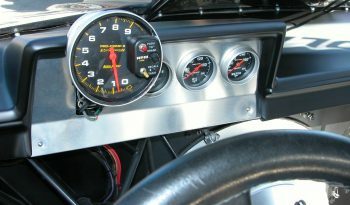 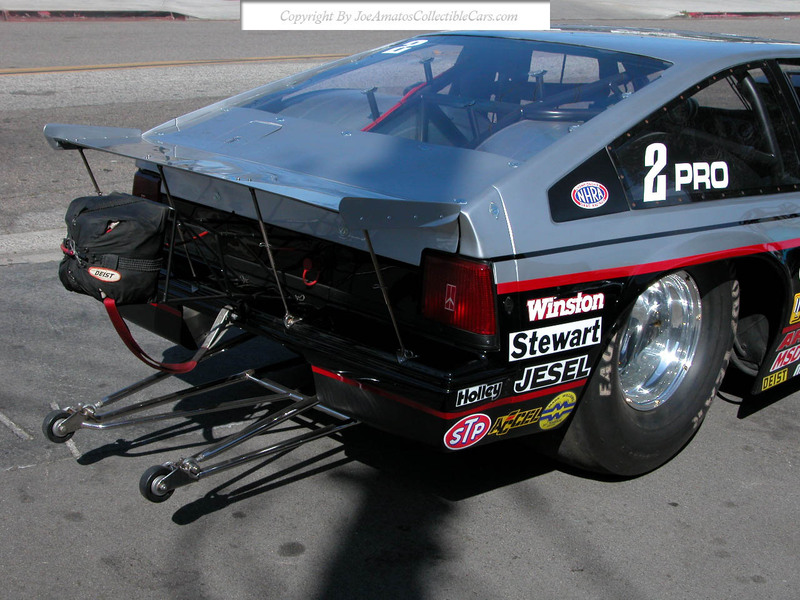 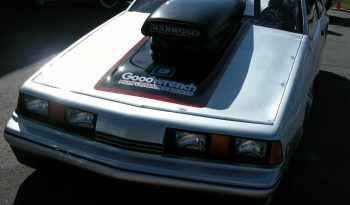 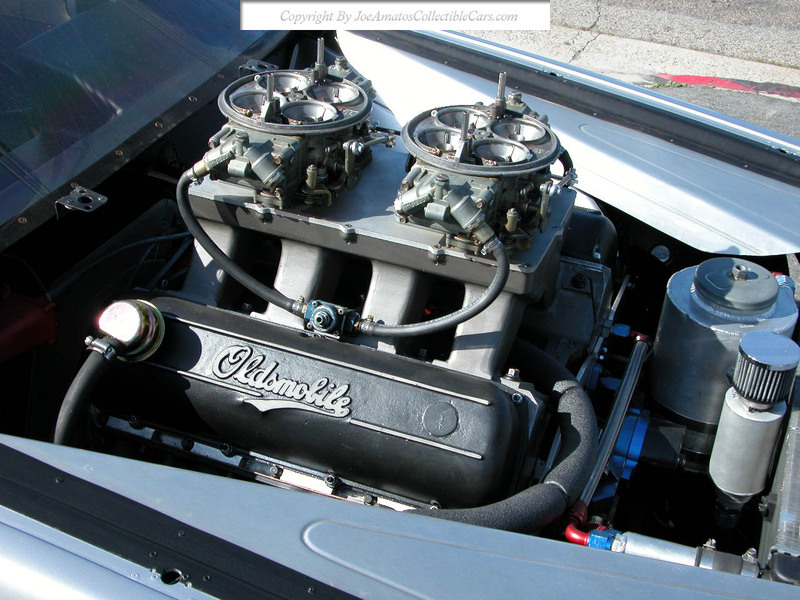 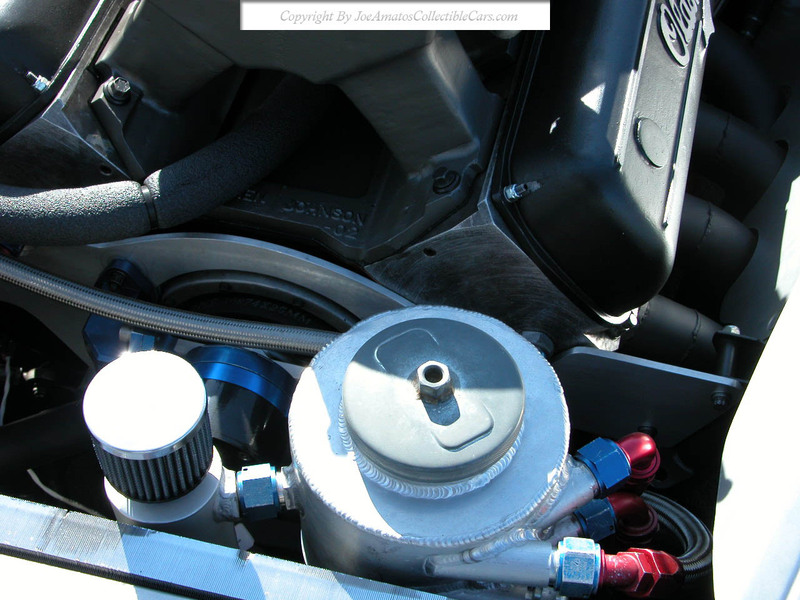 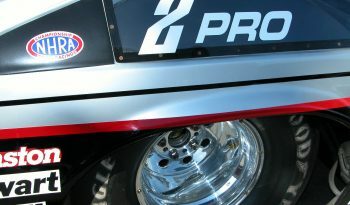 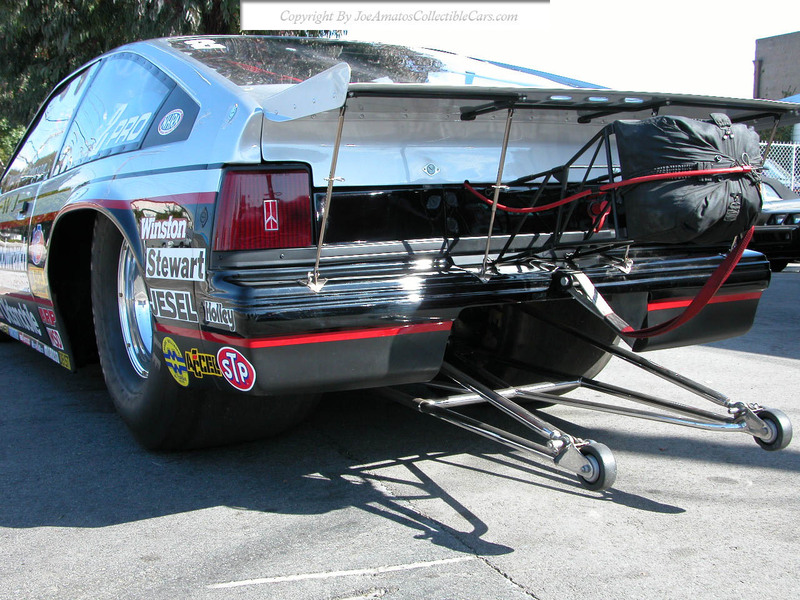 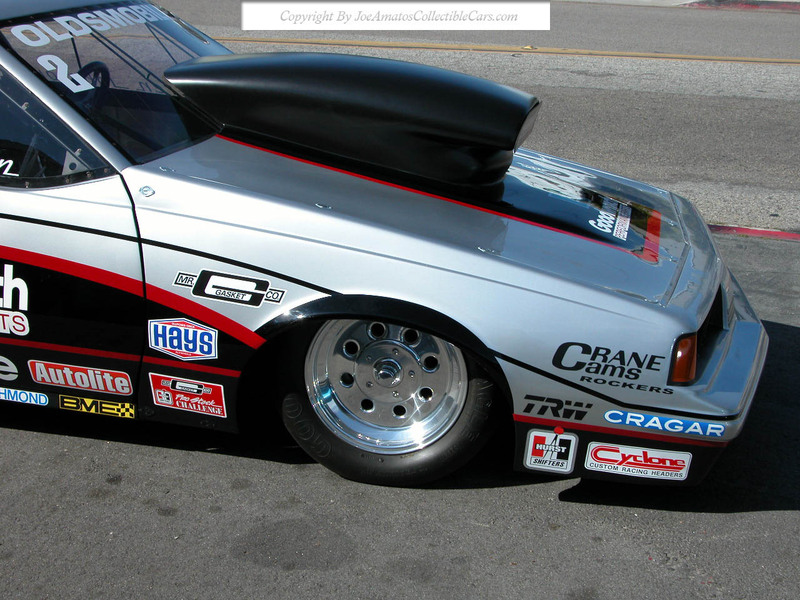 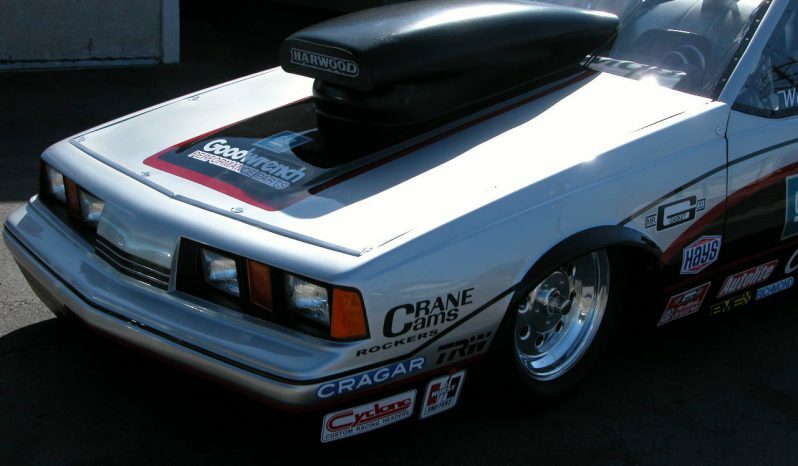 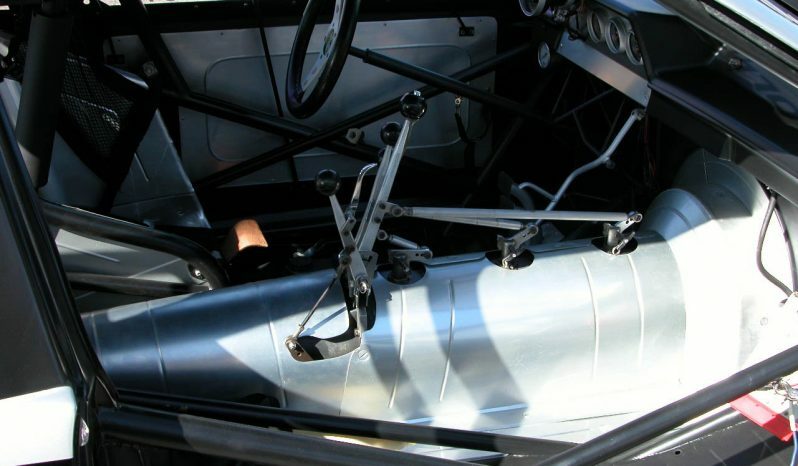 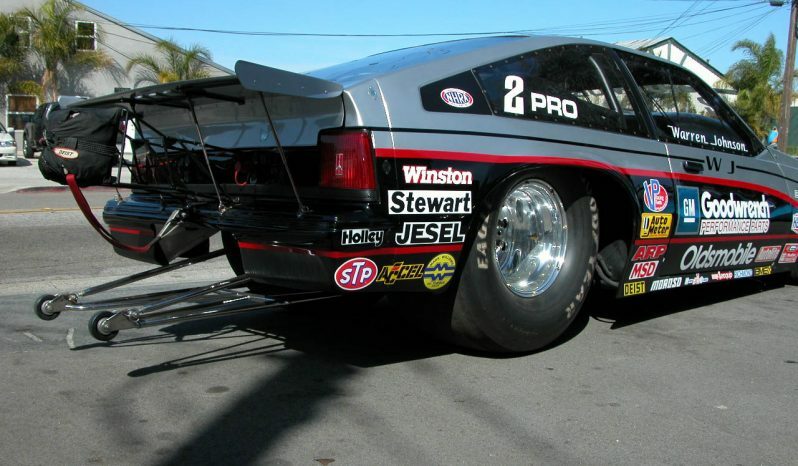 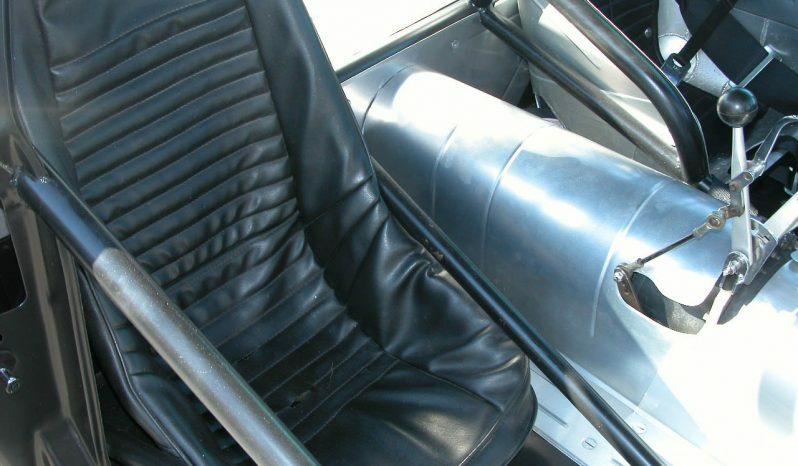 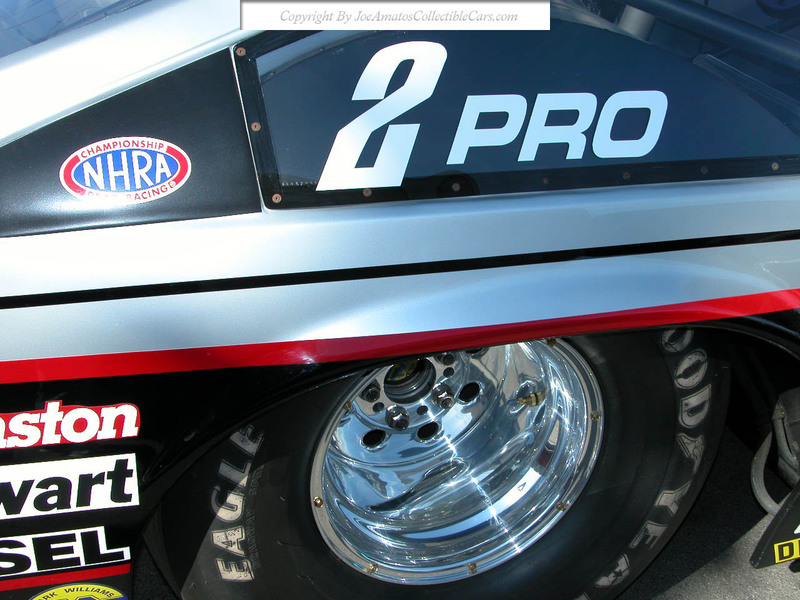 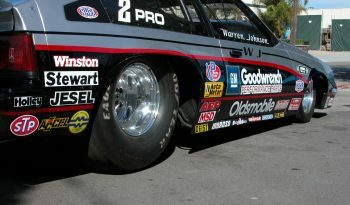 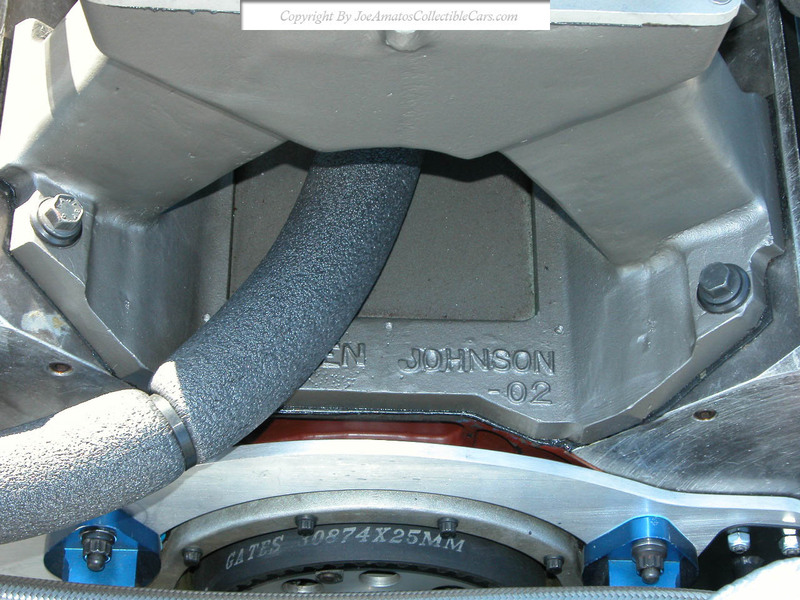 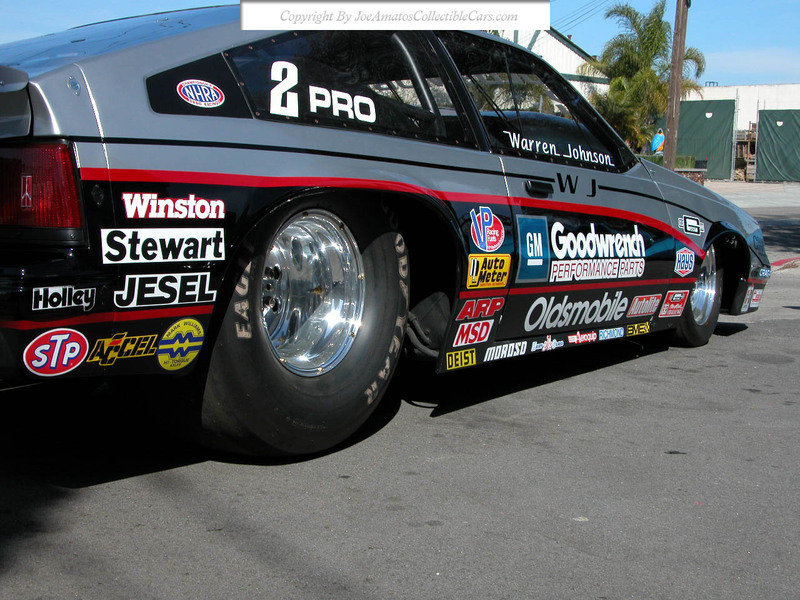 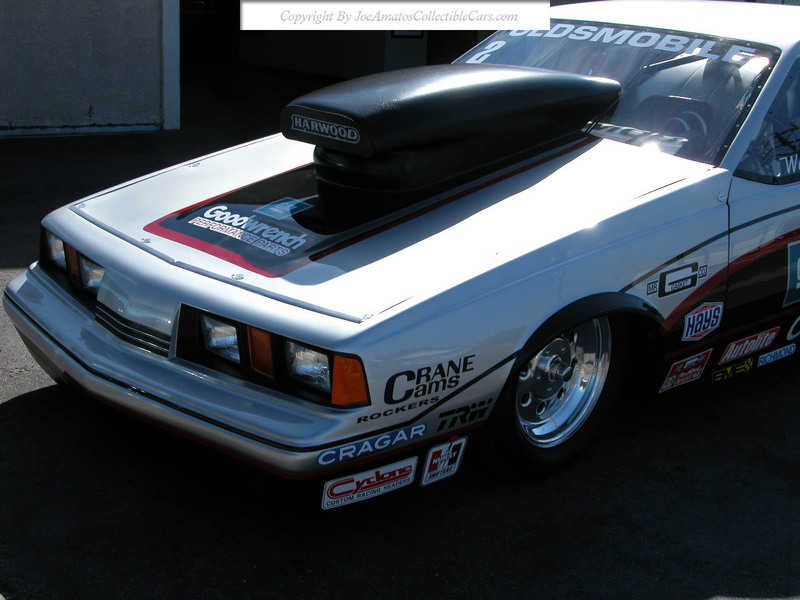 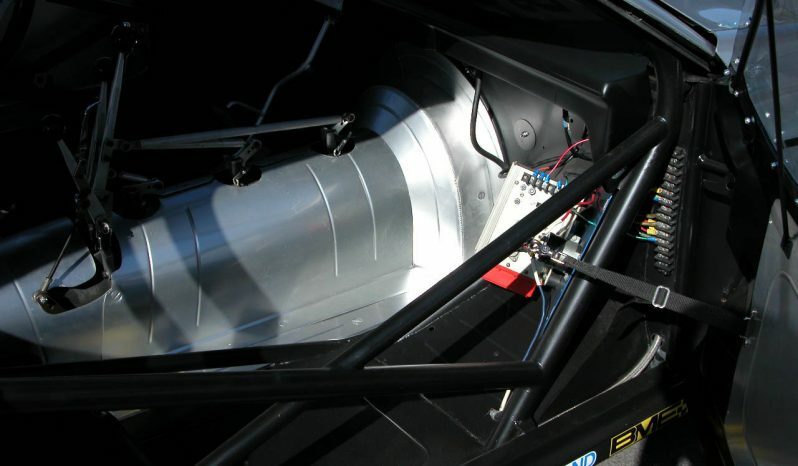 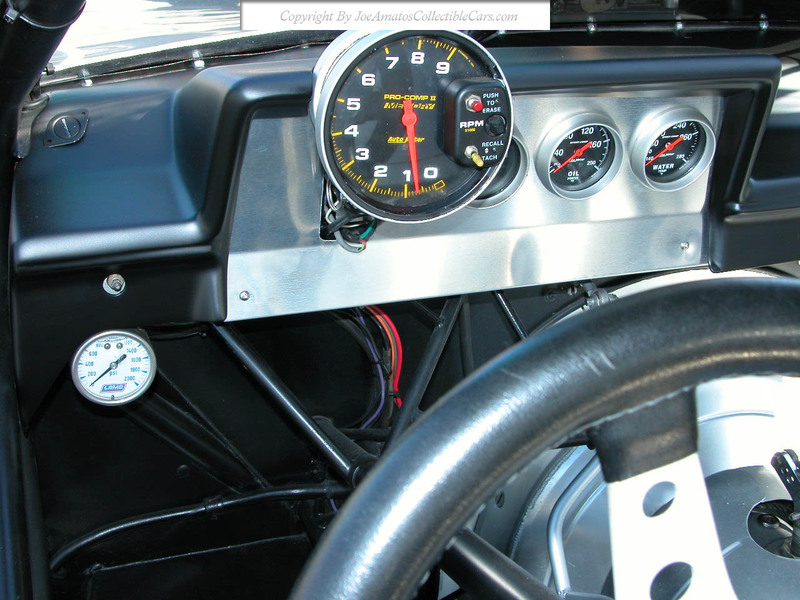 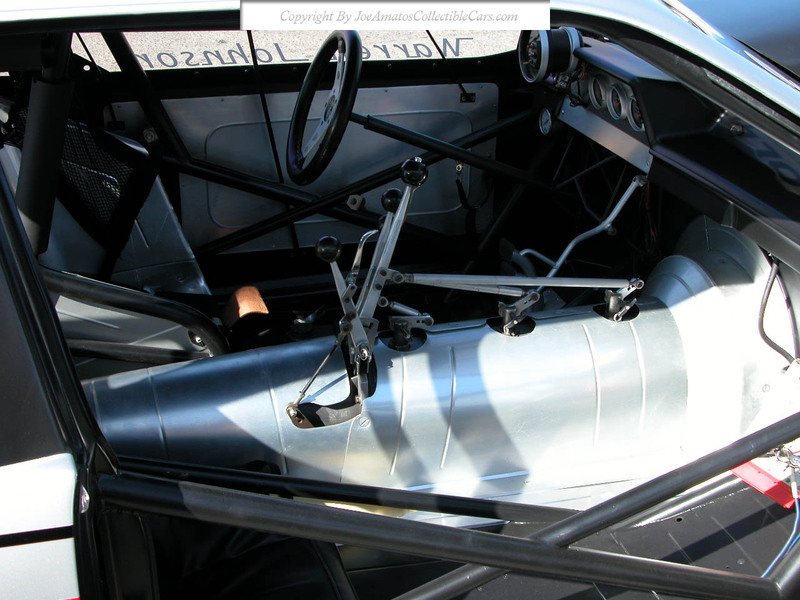 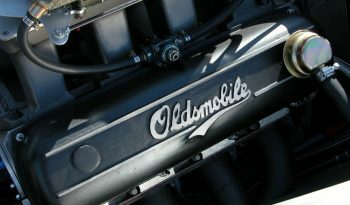 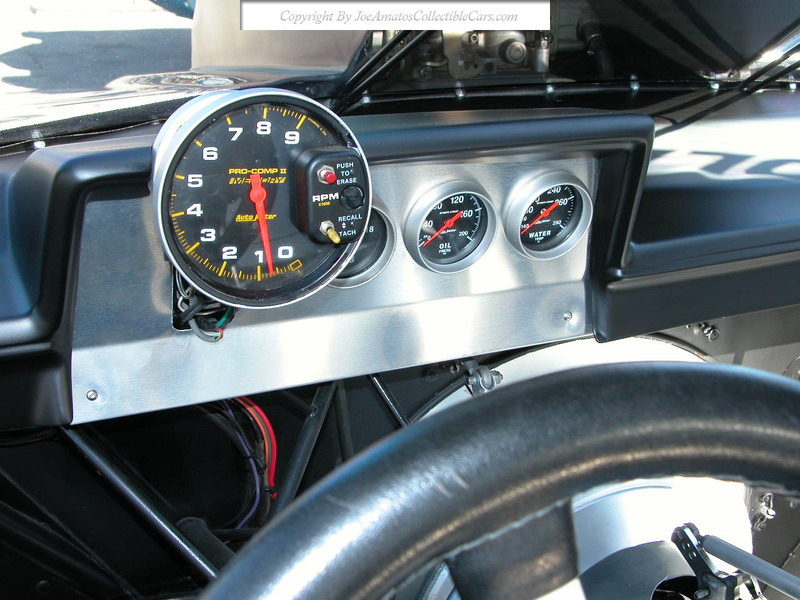 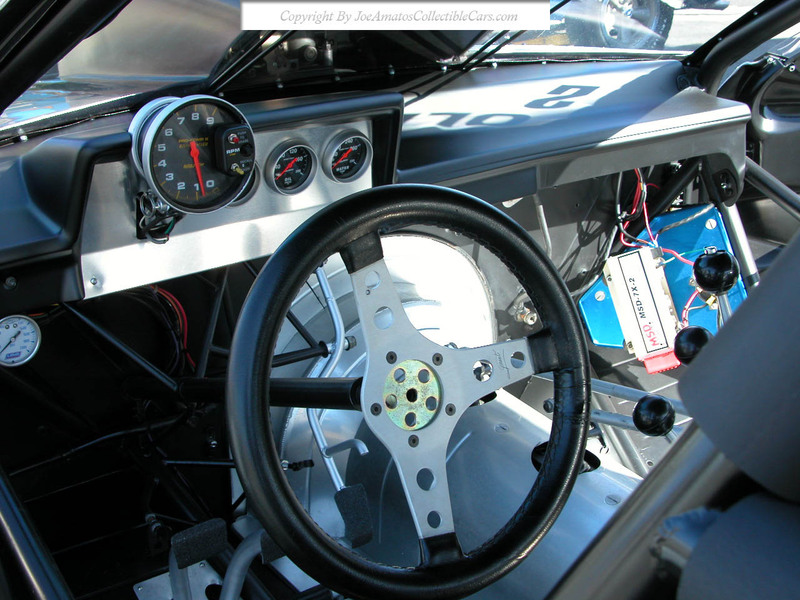 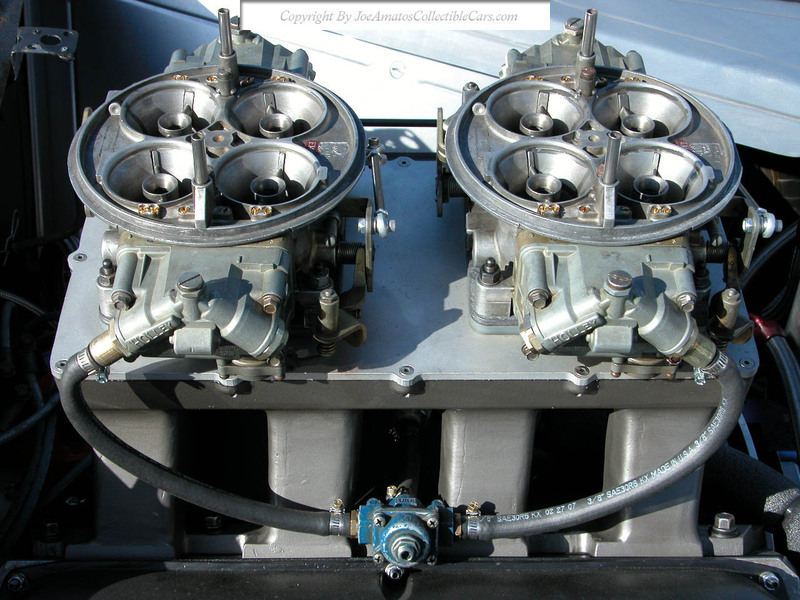 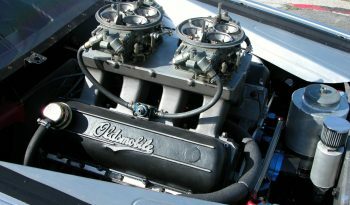 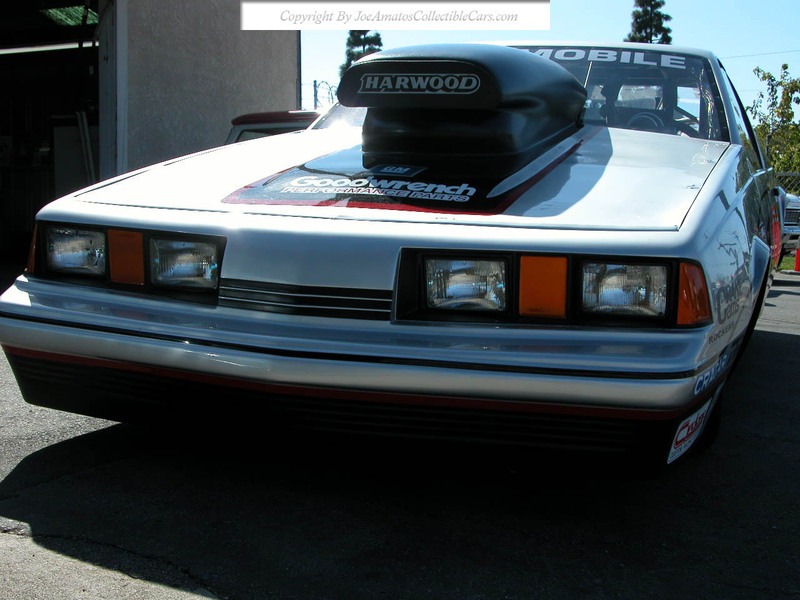 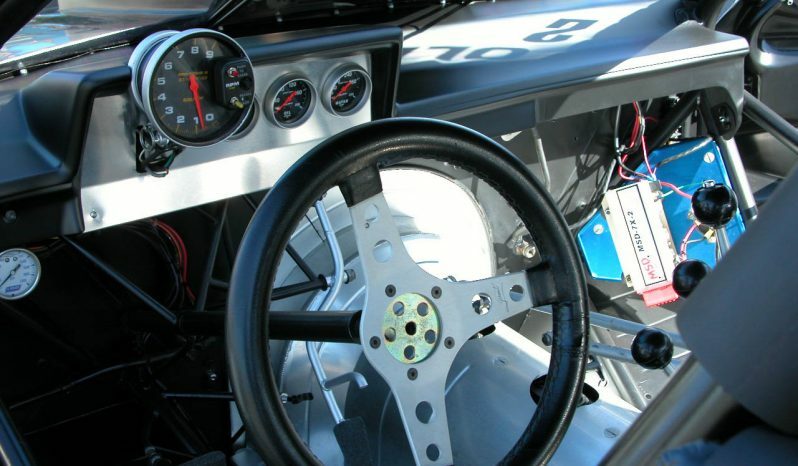 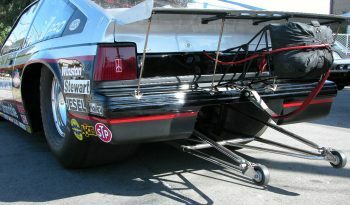 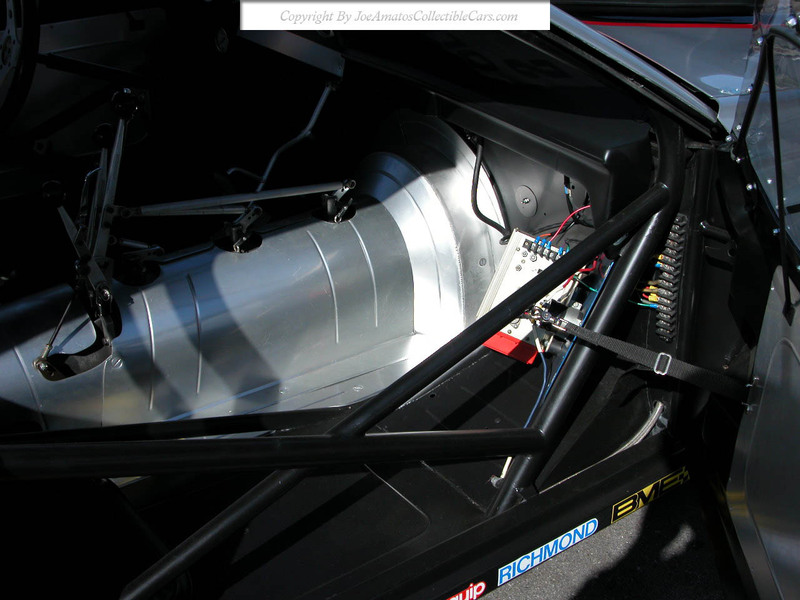 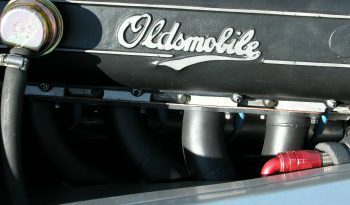 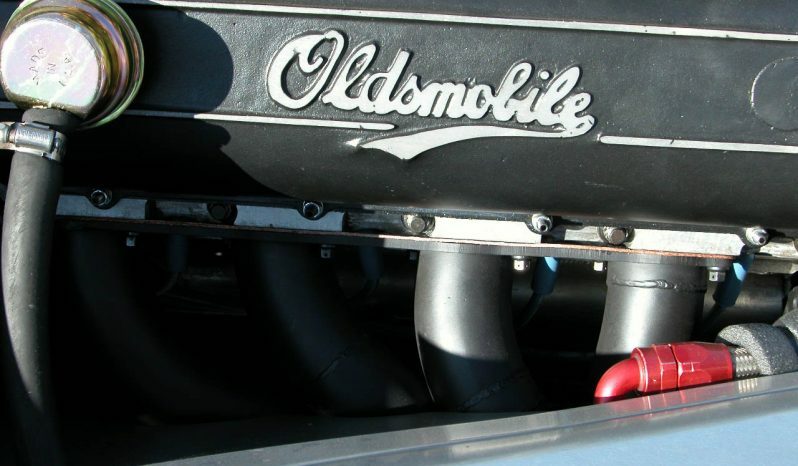 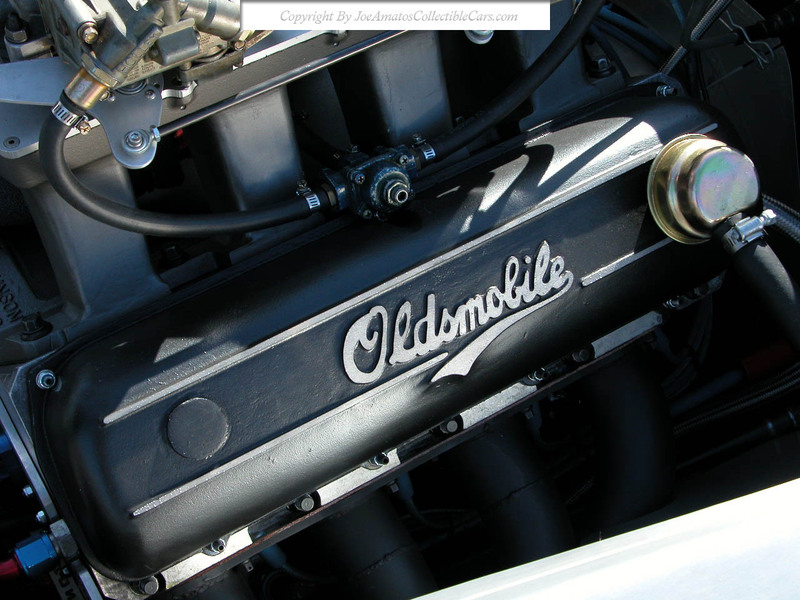 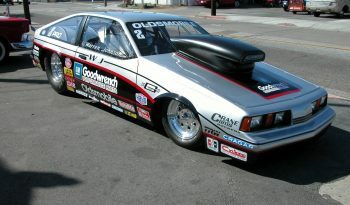 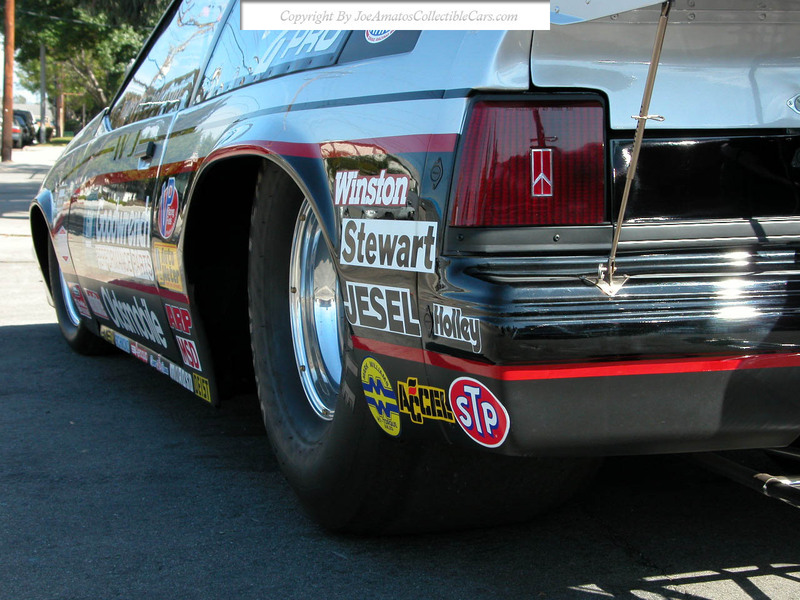 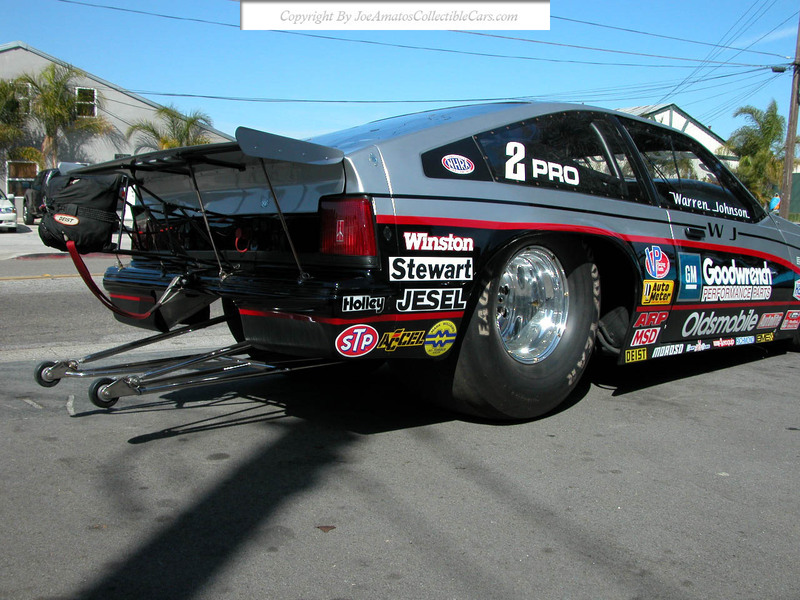 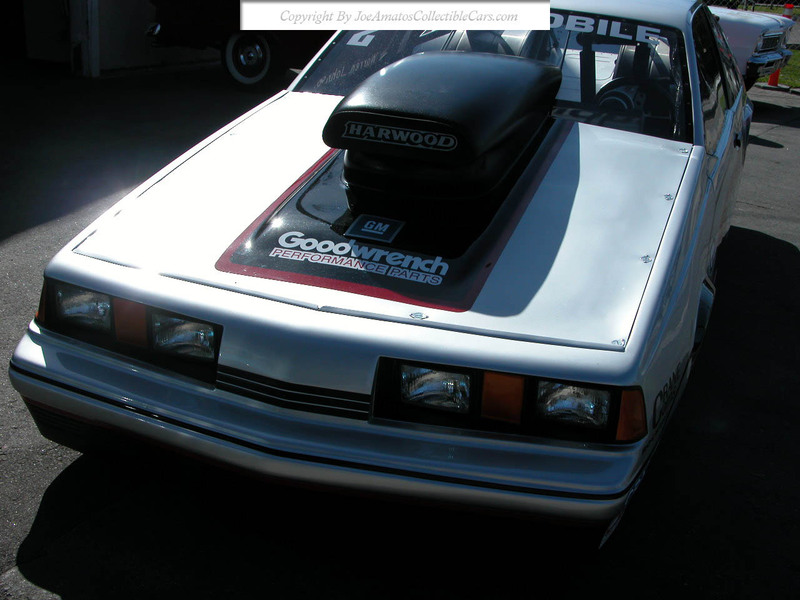 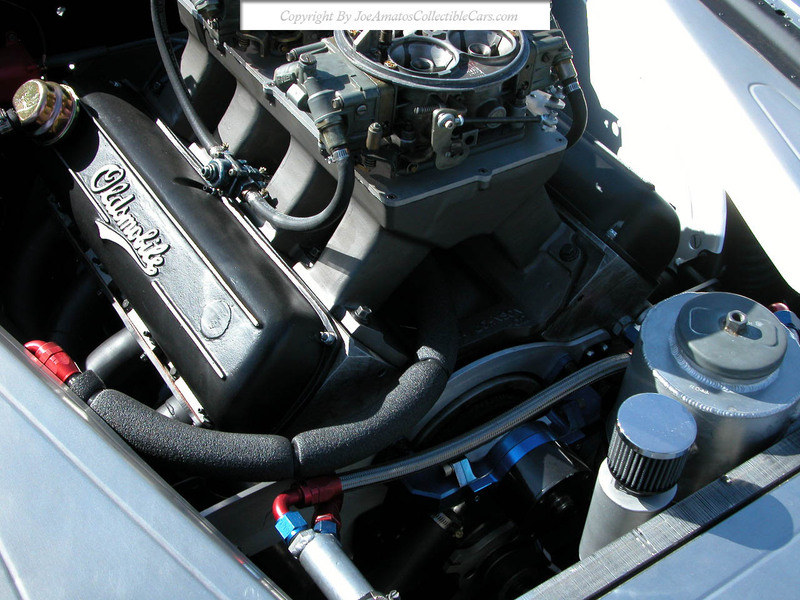 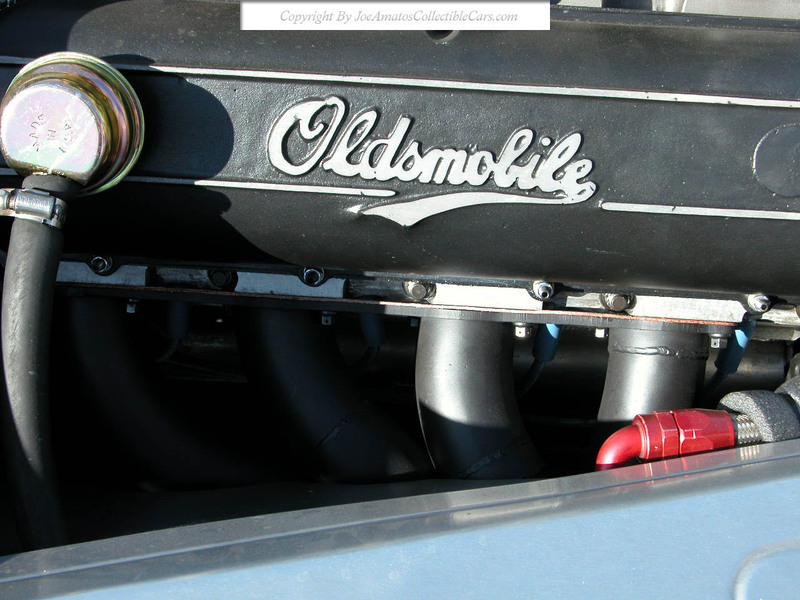 The Oldsmobile Firenza is a historic part of Warren Johnson’s NHRA Pro Stock racing career. 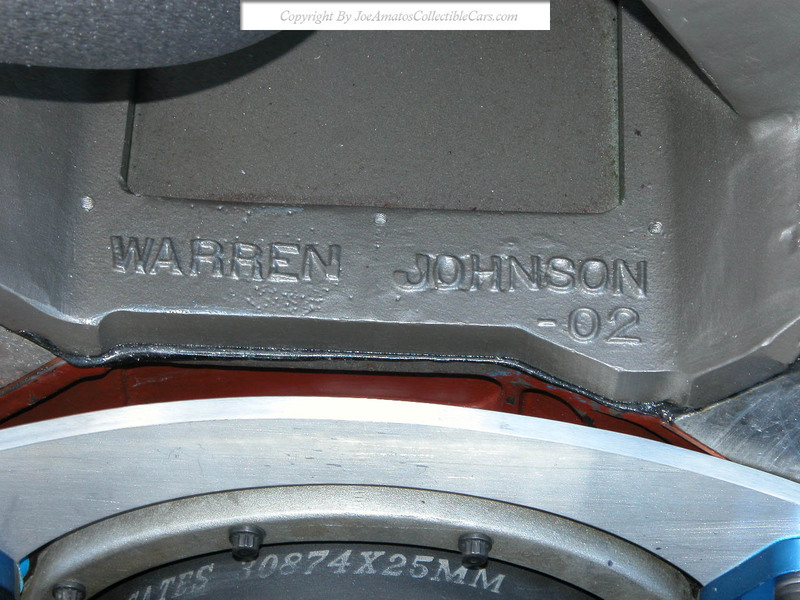 This marked the beginning of a long lasting sponsorship between Warren Johnson and General Motors Corporation. Warren Johnson was the first NHRA Pro Stock driver to break the 180 mph barrier, 190 mph barrier (Firenza, September ’86) and the 200 mph barrier (Pontiac Firebird). 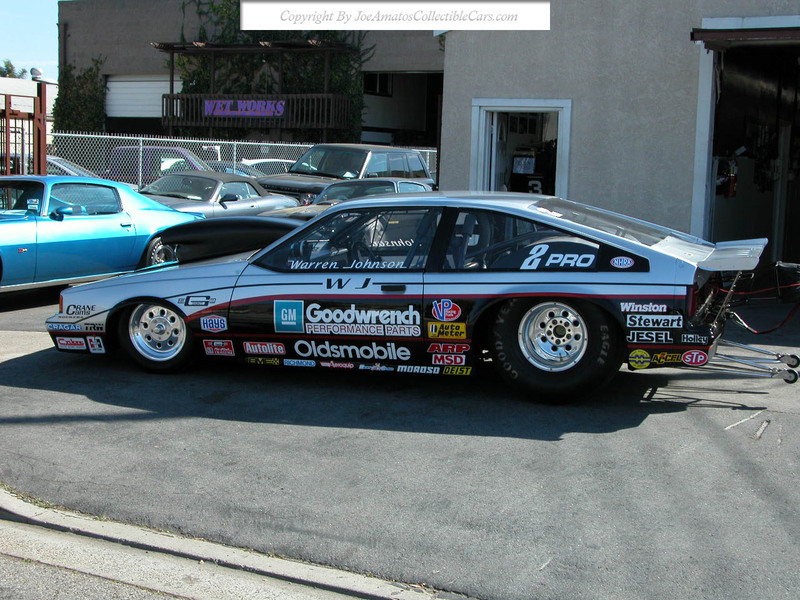 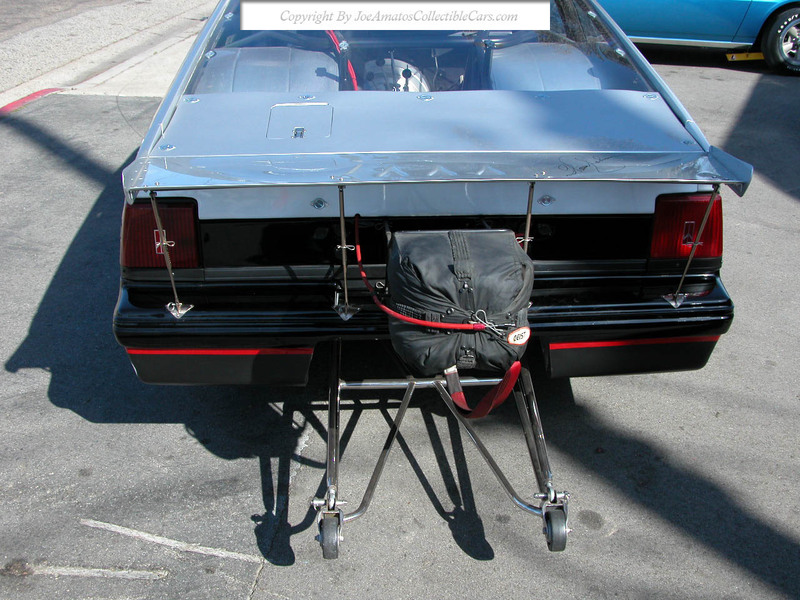 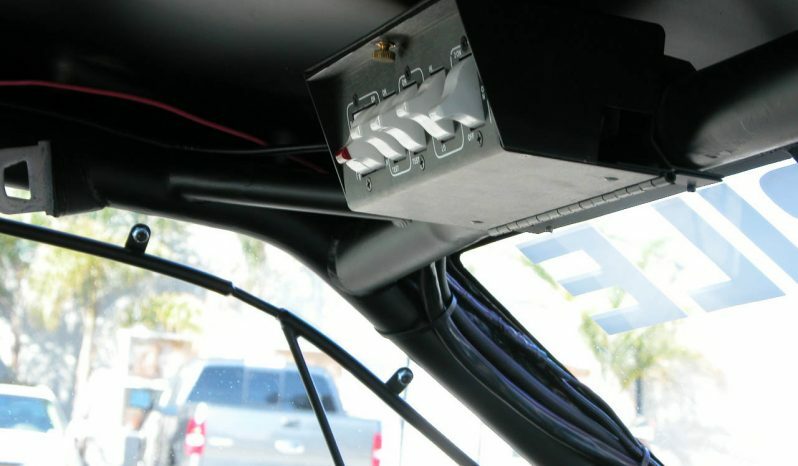 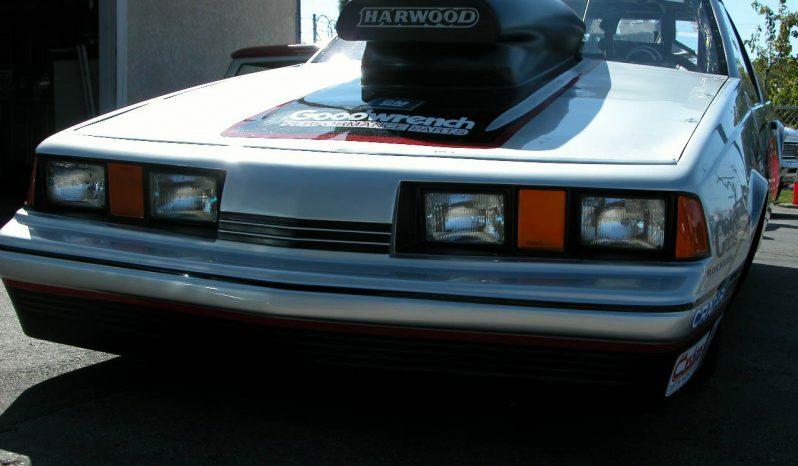 The Olds Firenza was also used at the beginning of the Pro Stock race car wind tunnel testing era that is now an integral part of all professional auto racing. 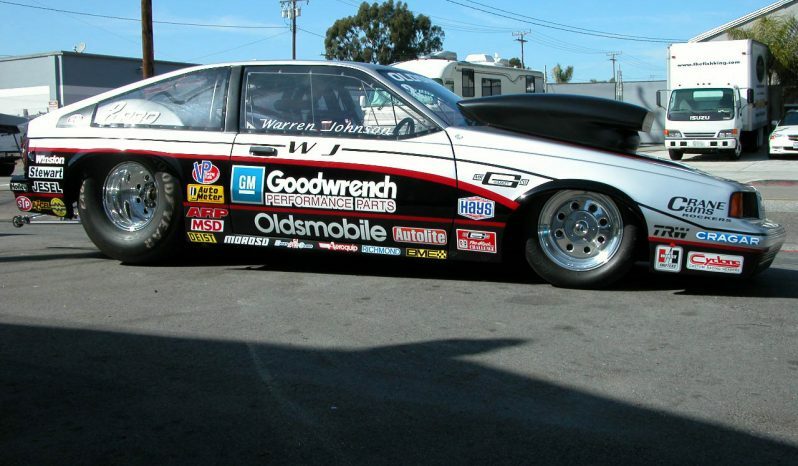 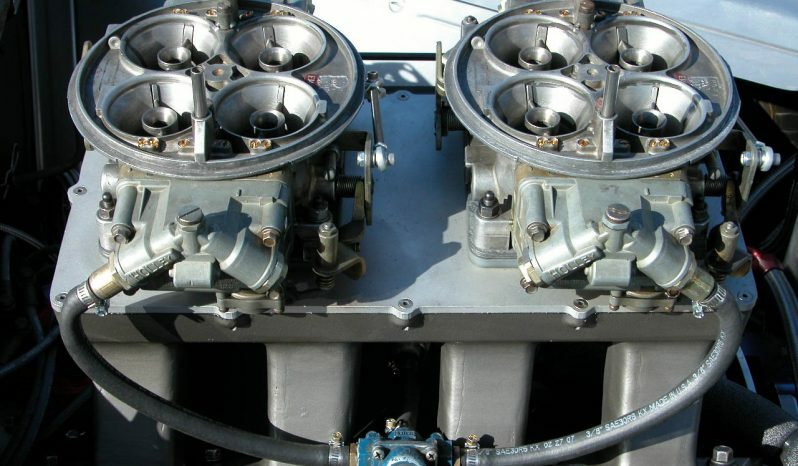 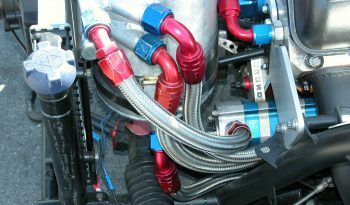 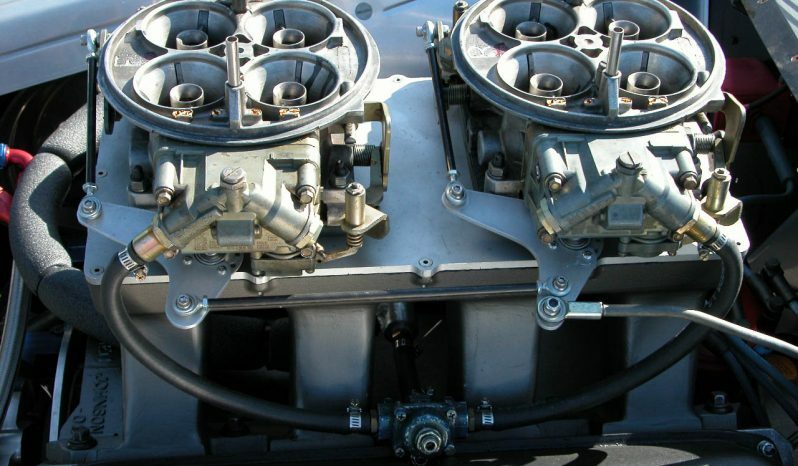 As Warren Johnson remembers, three Ness chassis Olds Firenzas were built for the early 1987 NHRA Pro Stock racing season. 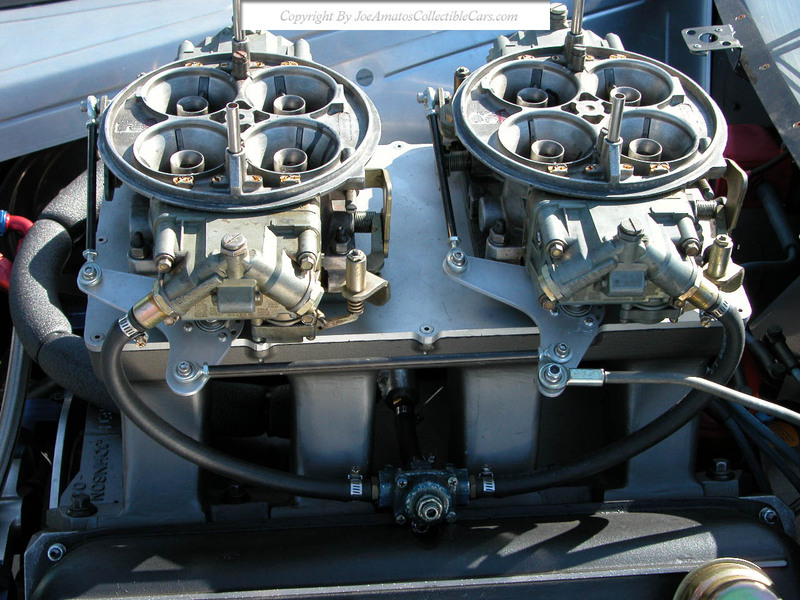 Two identical cars were ordered by Warren Johnson. 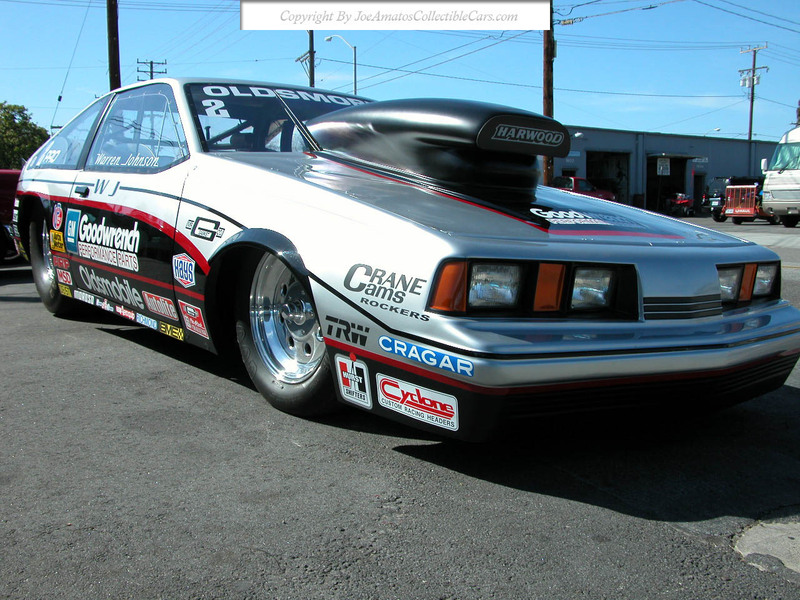 This 1987 Ness Olds Firenza is one of the two originally ordered and the only one known to still exist. 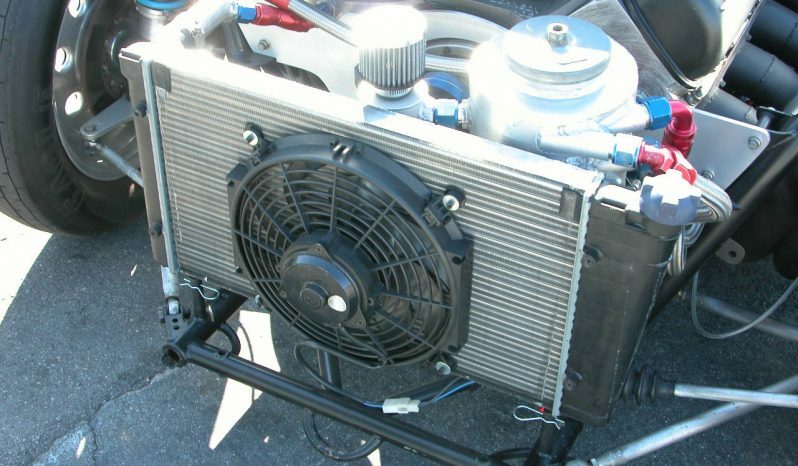 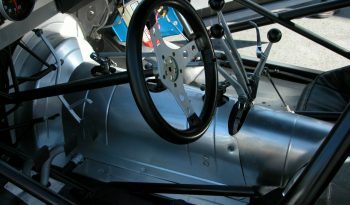 It has been restored to the original condition with a genuine Warren Johnson engine and drive train as Warren Johnson raced in 1987. This Firenza still has all of the original chassis components as recalled by Warren Johnson. 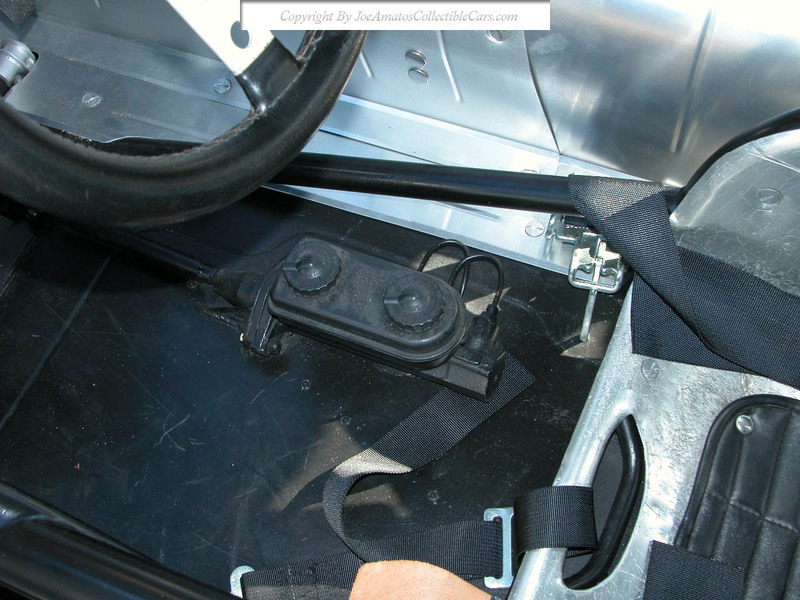 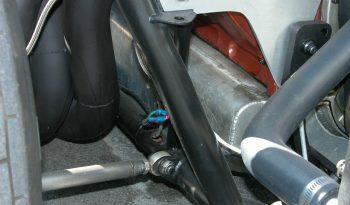 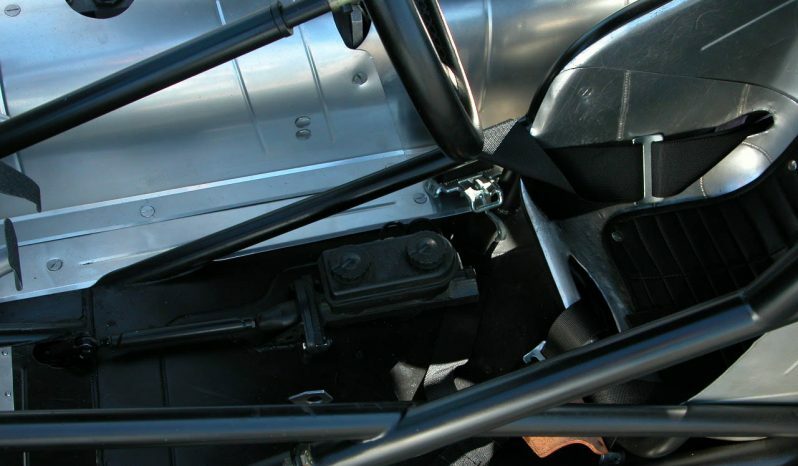 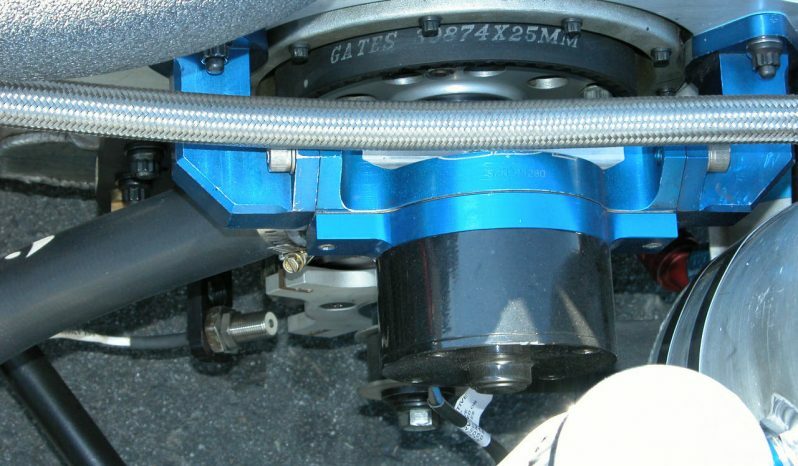 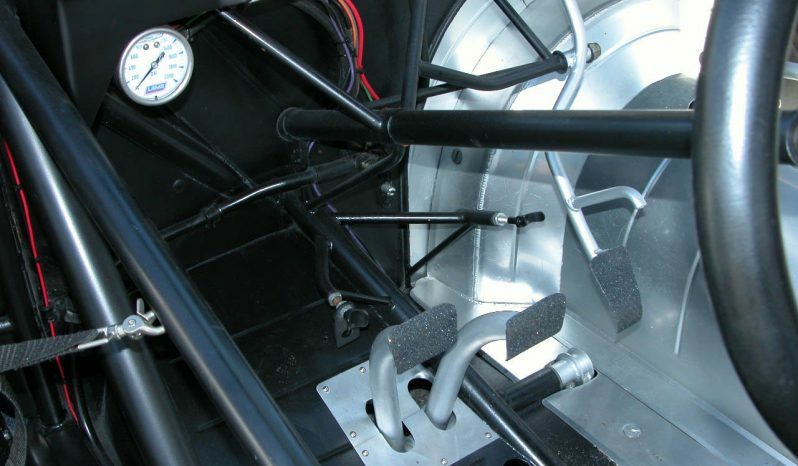 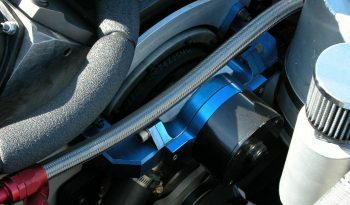 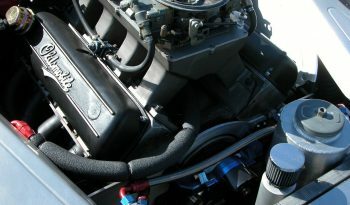 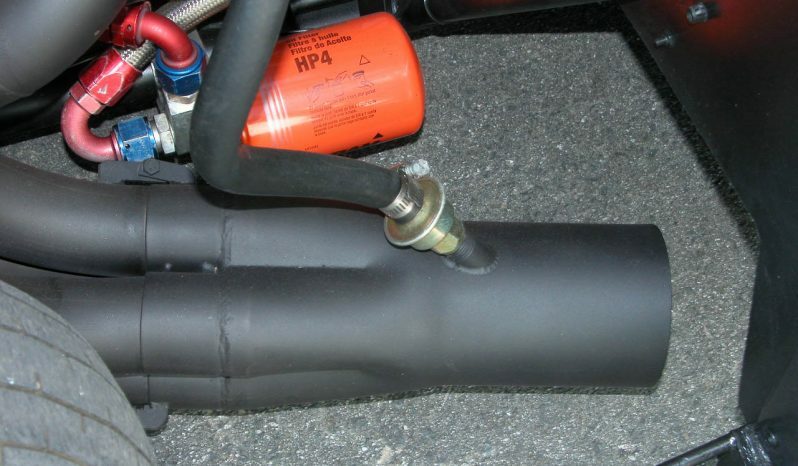 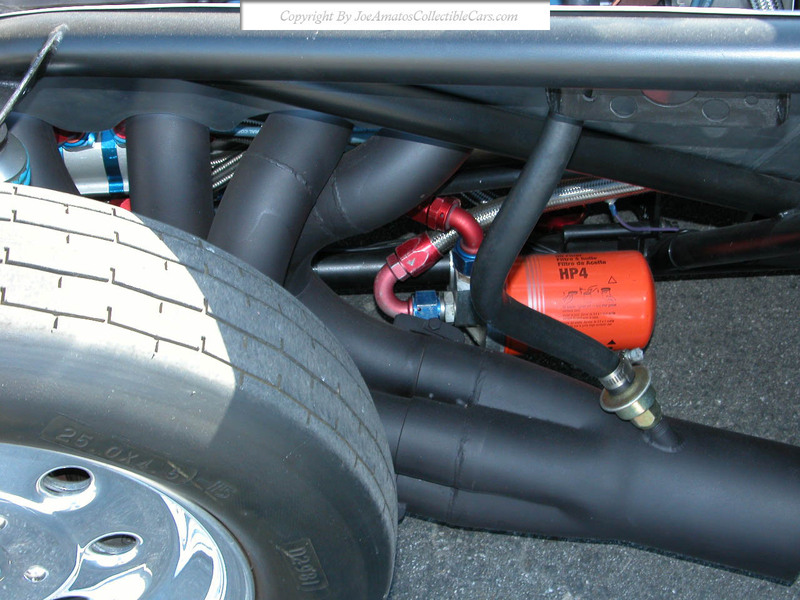 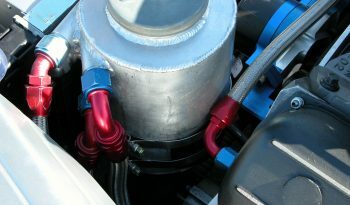 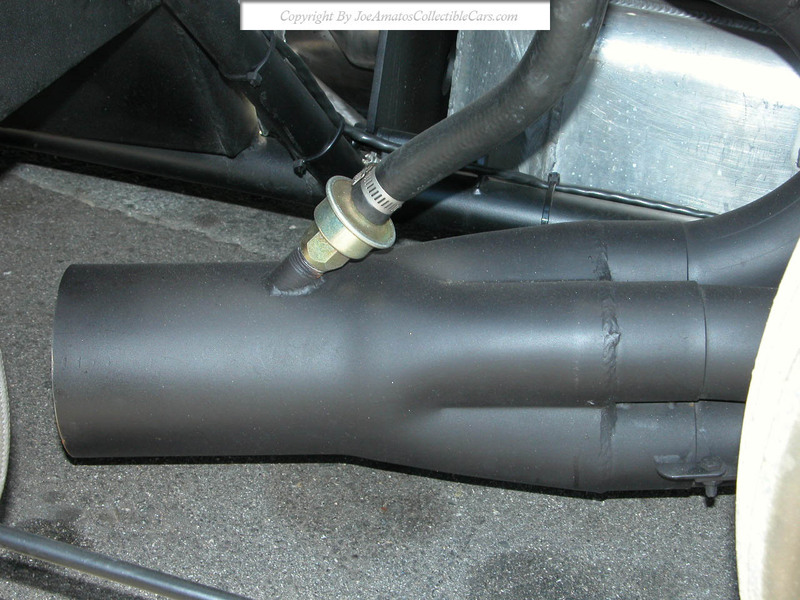 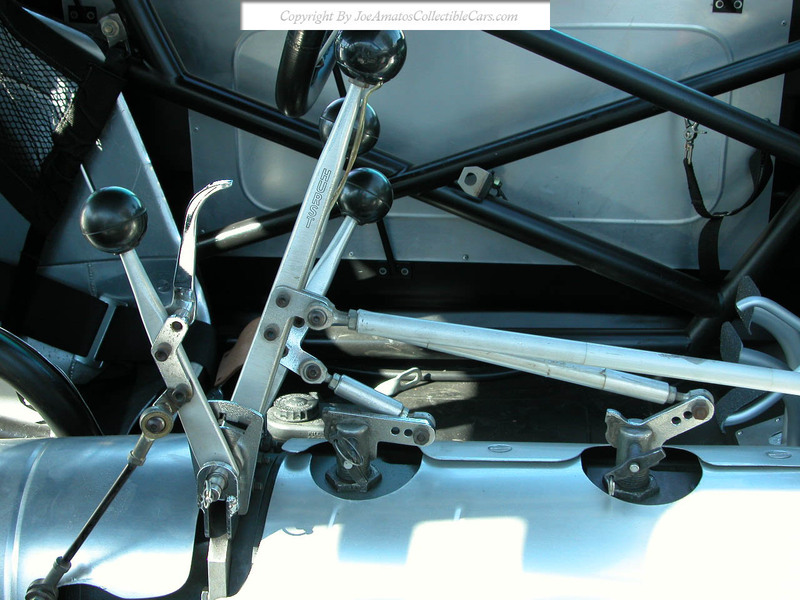 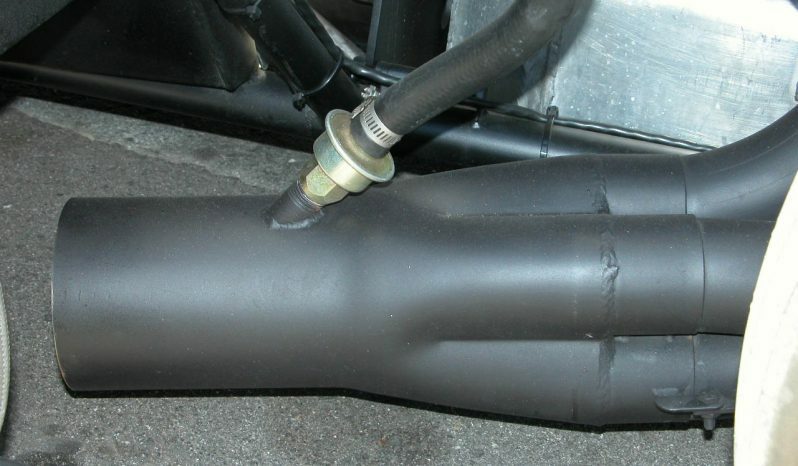 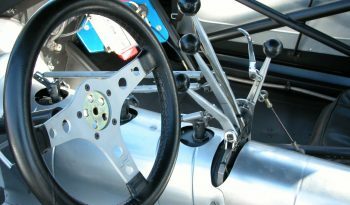 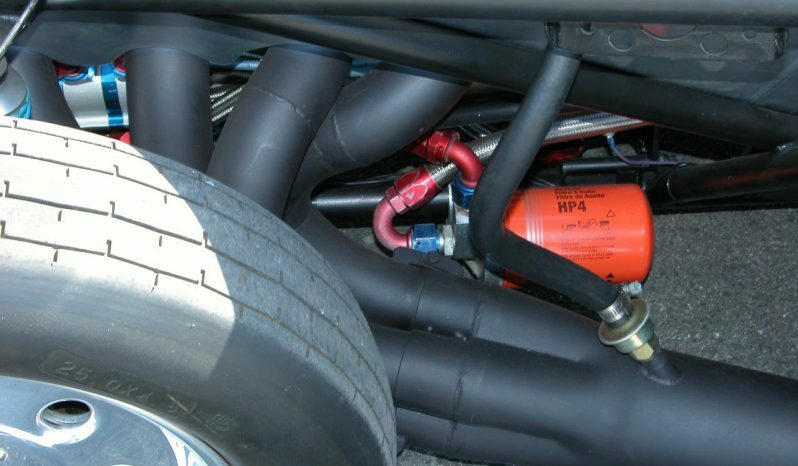 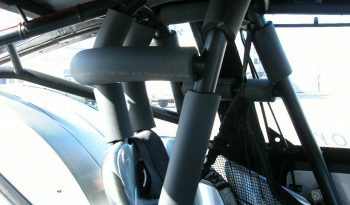 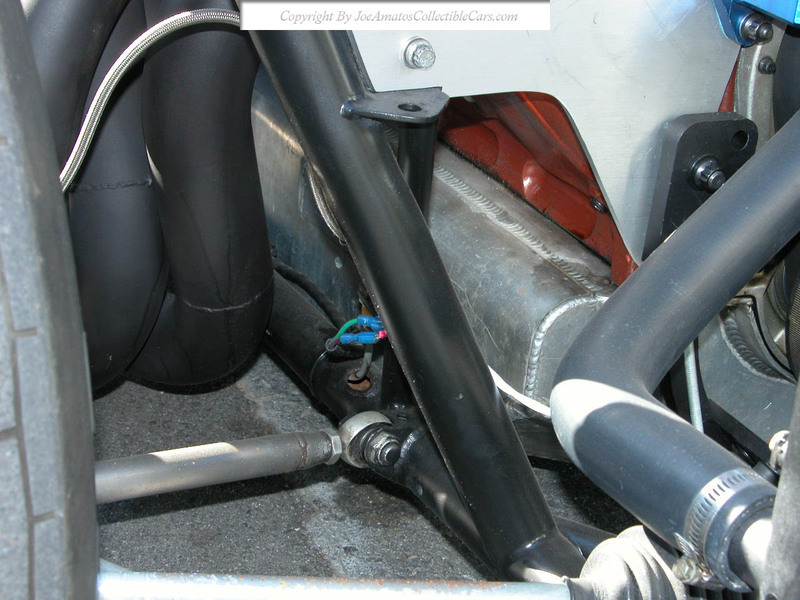 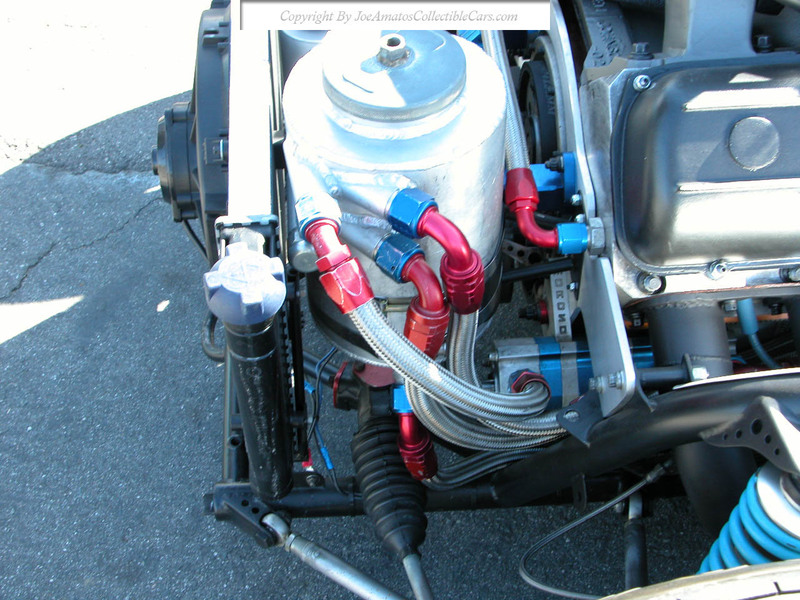 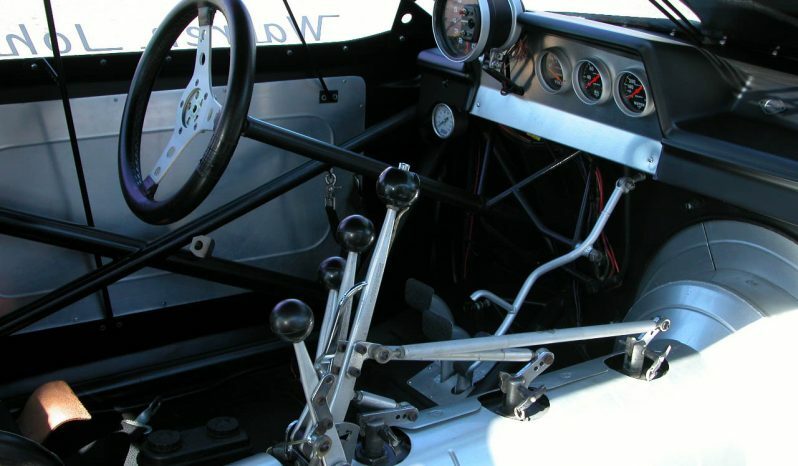 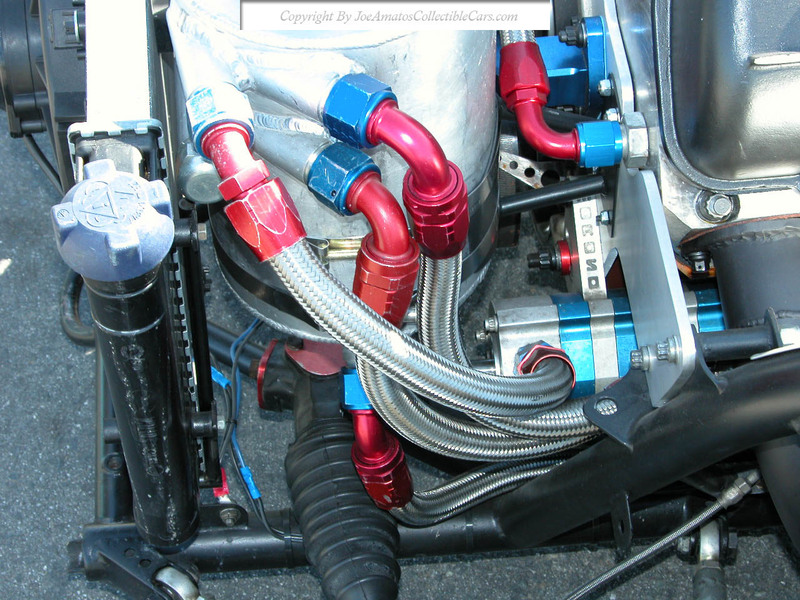 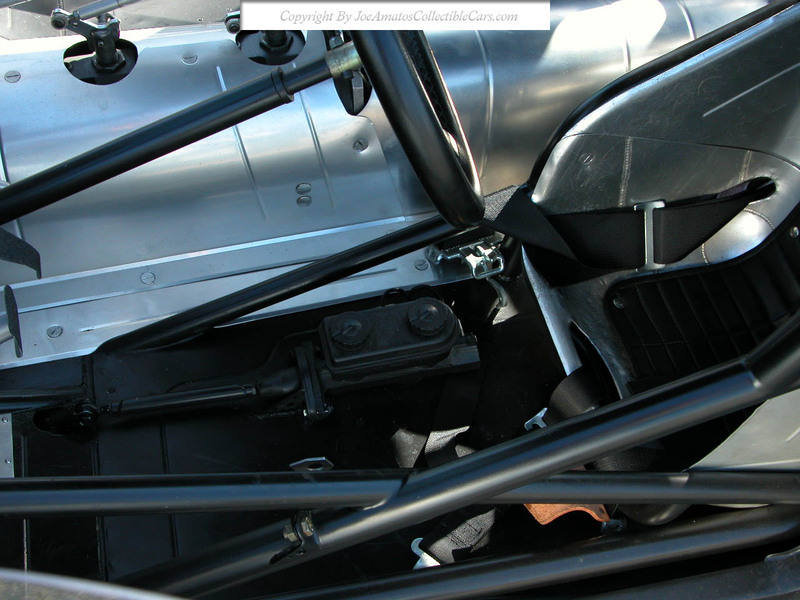 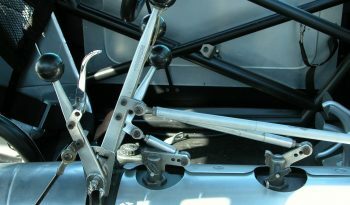 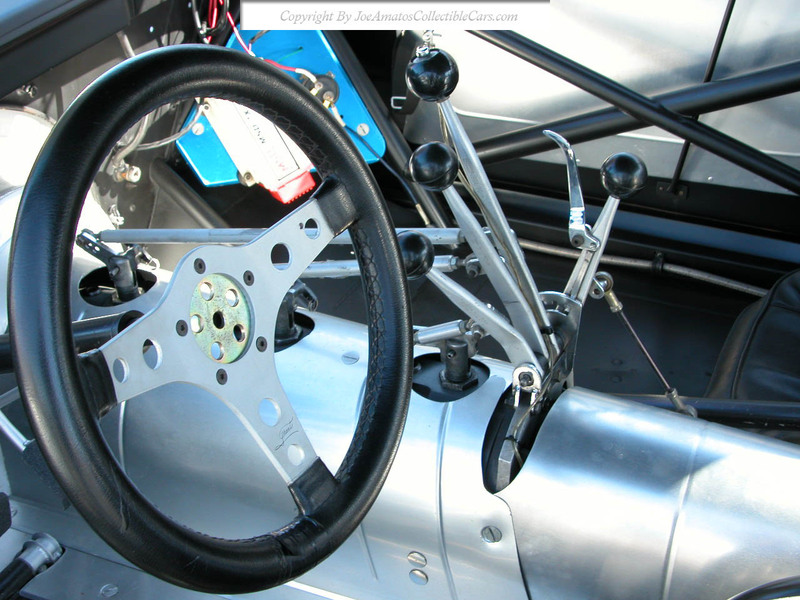 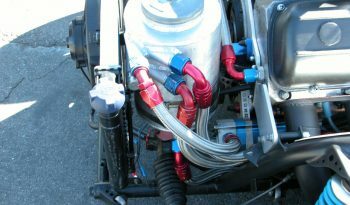 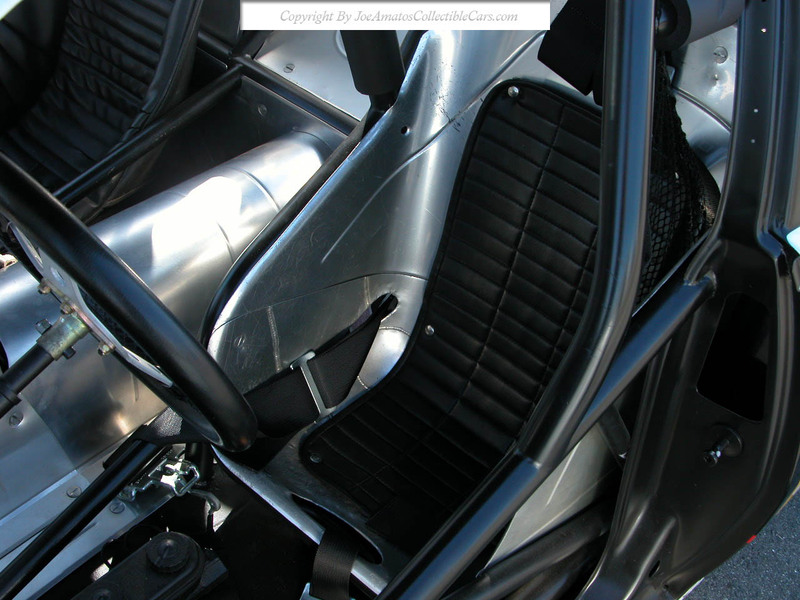 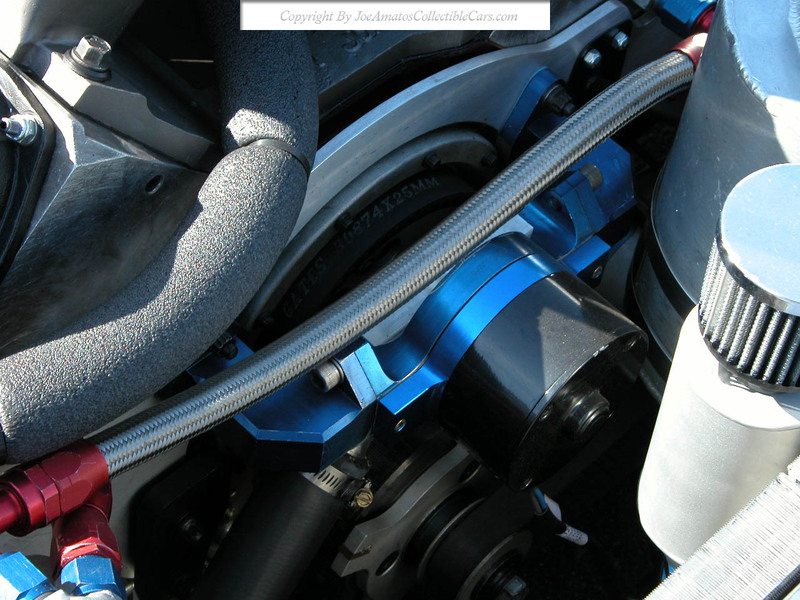 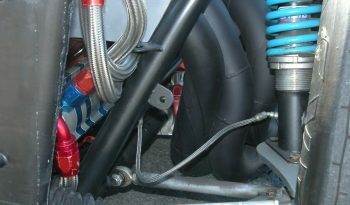 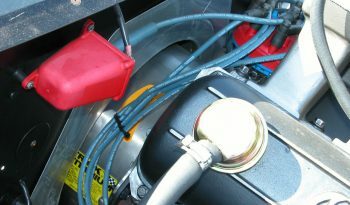 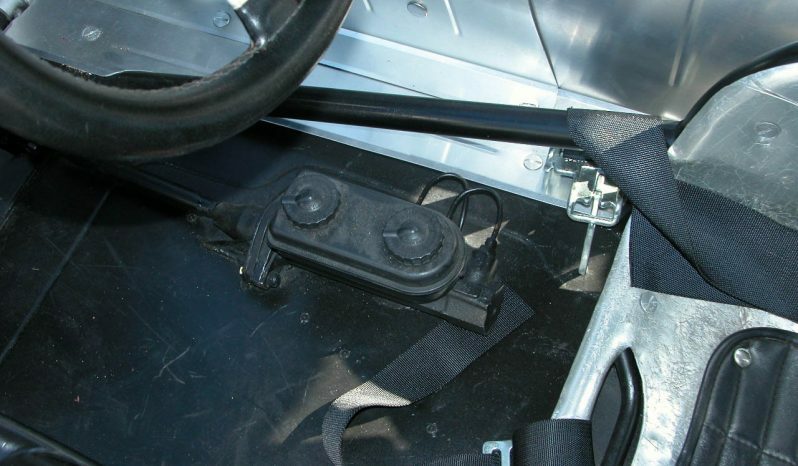 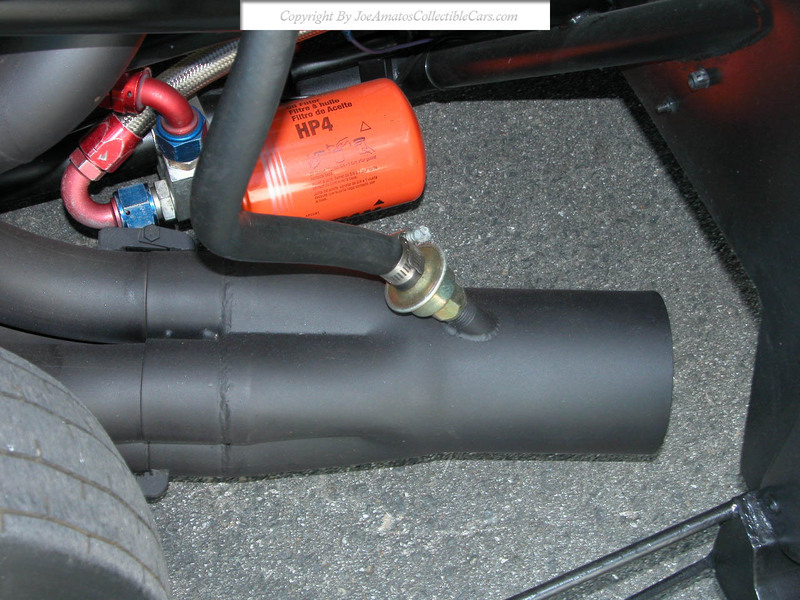 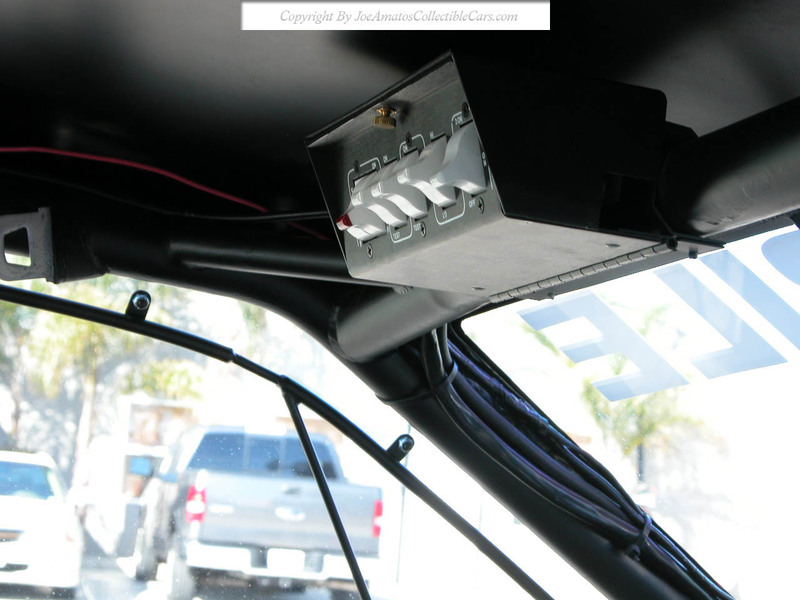 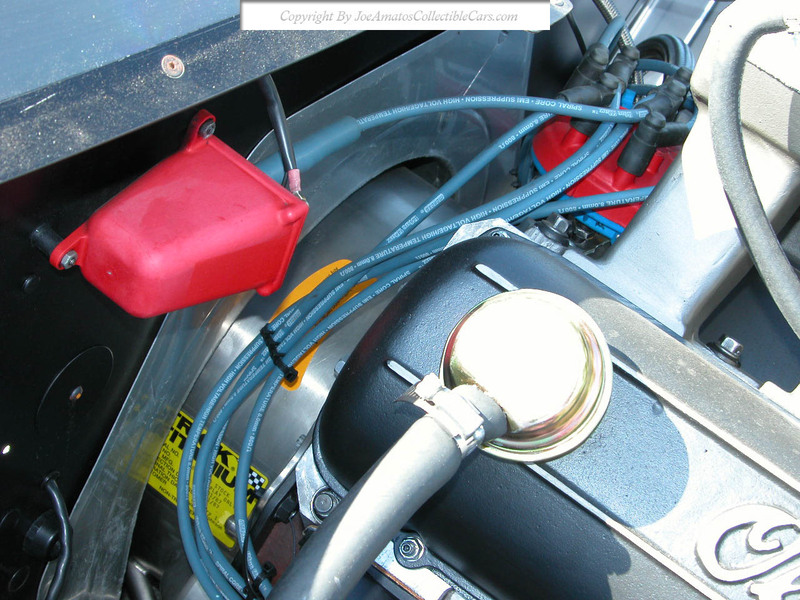 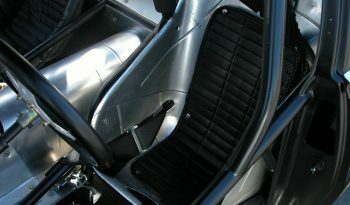 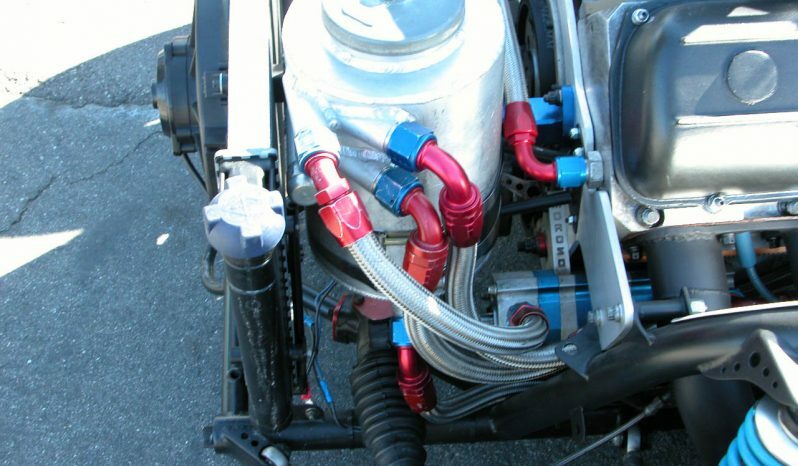 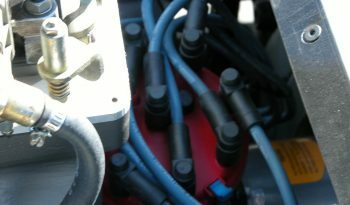 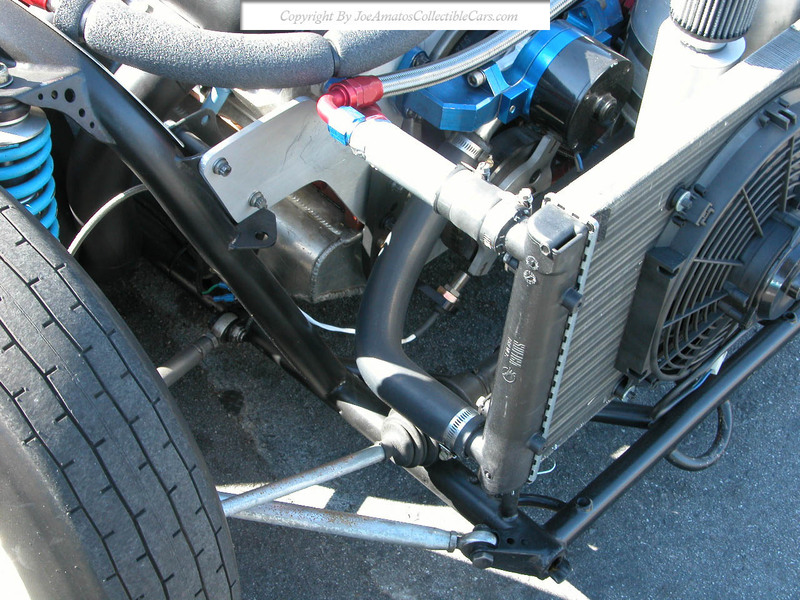 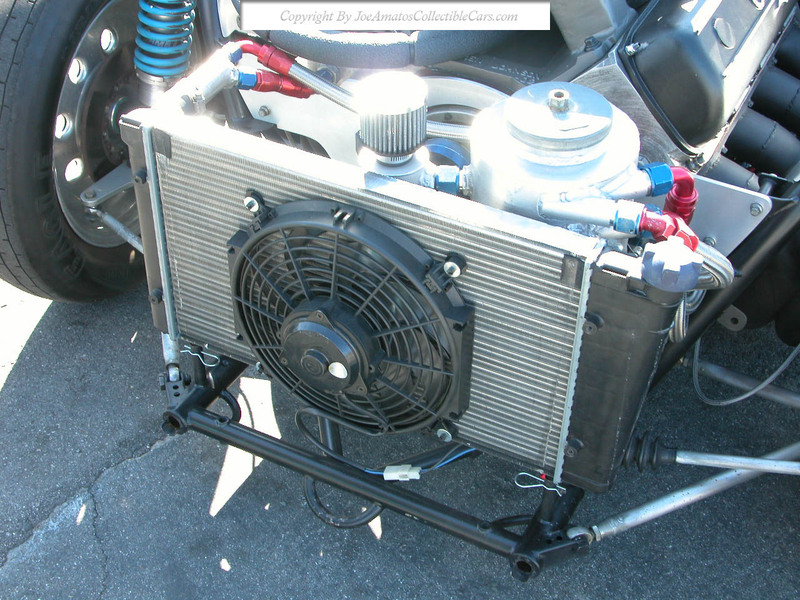 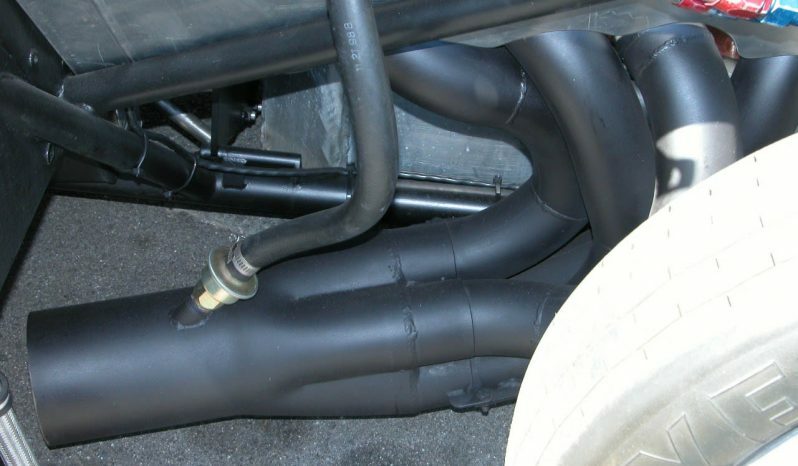 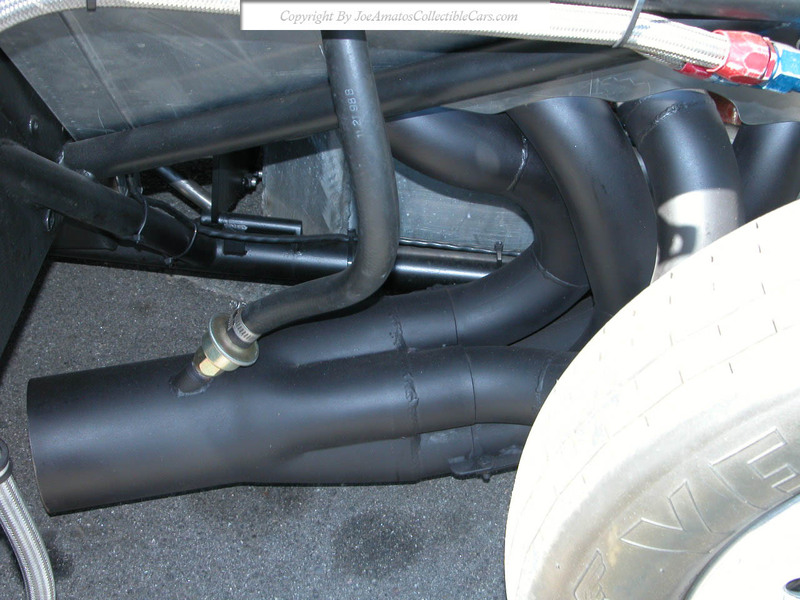 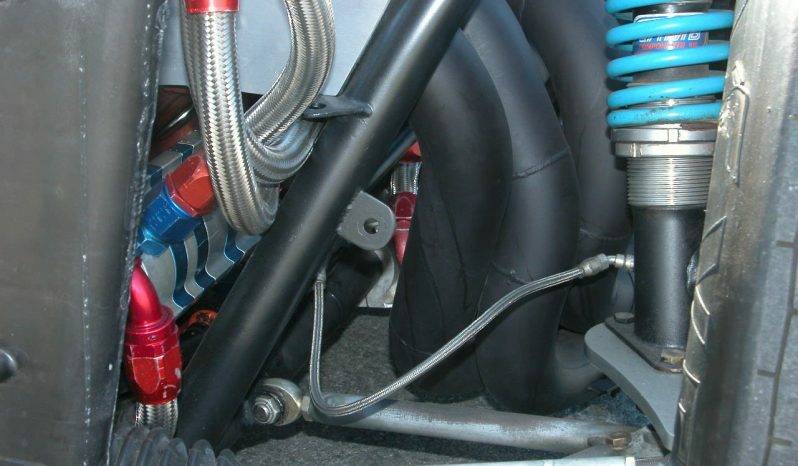 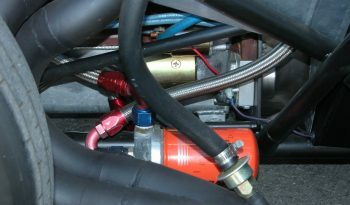 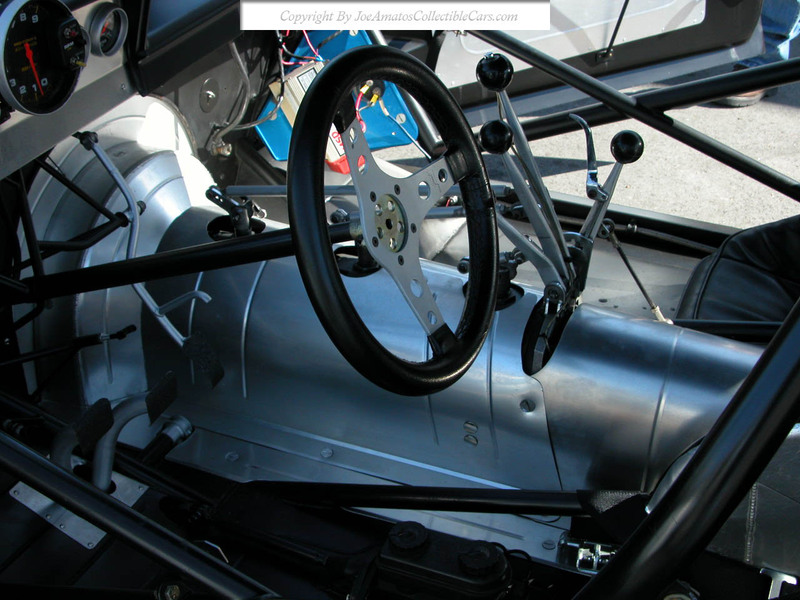 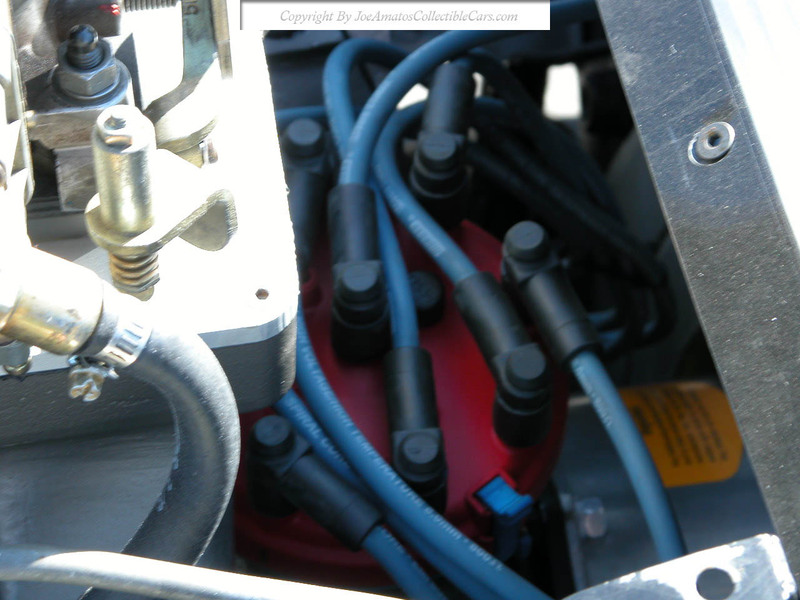 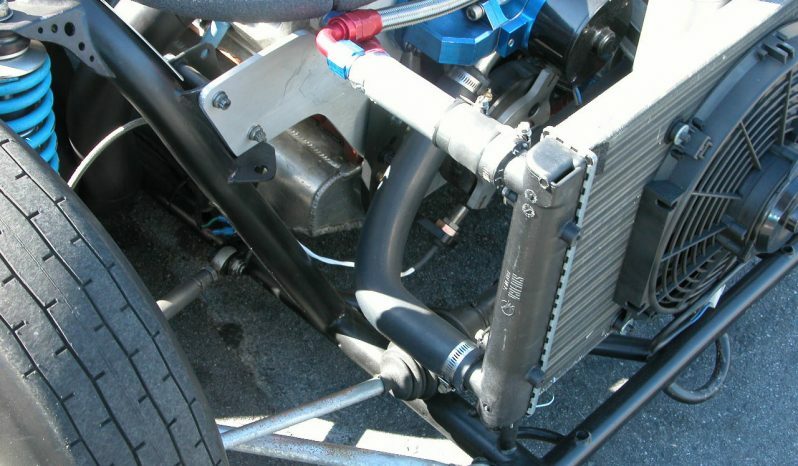 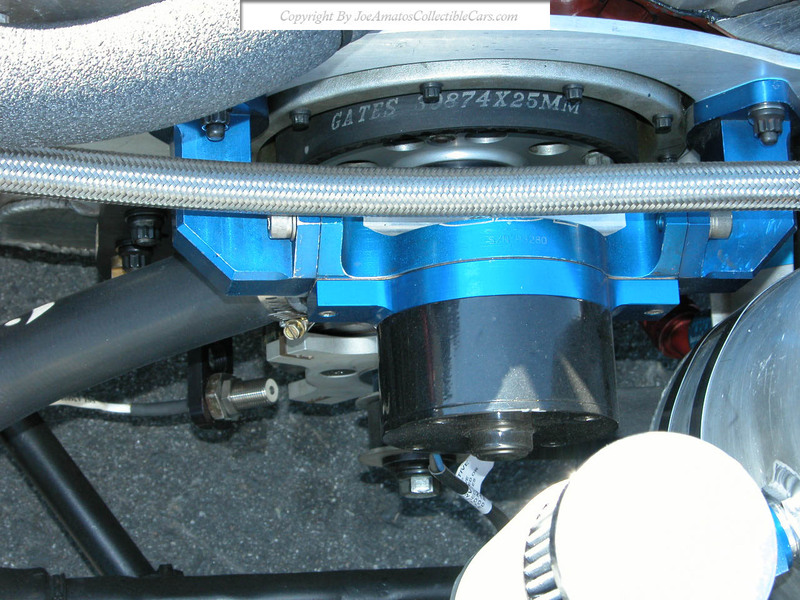 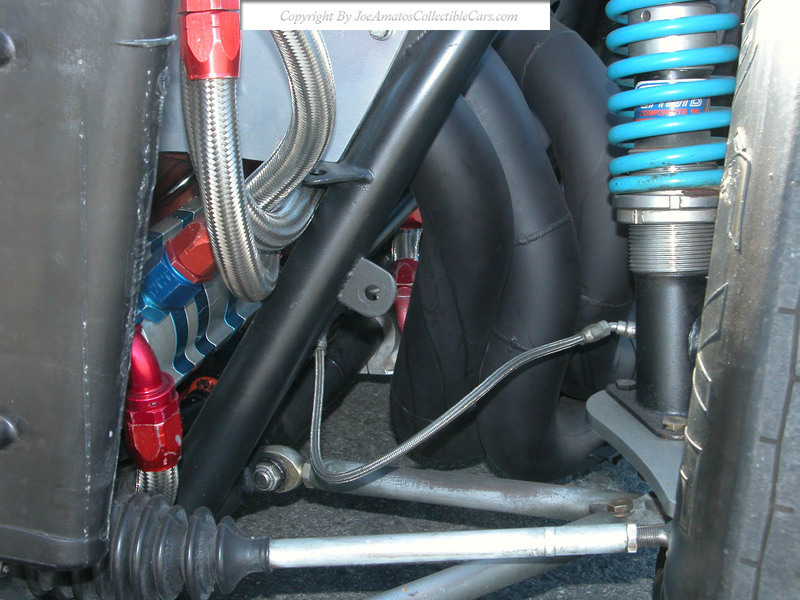 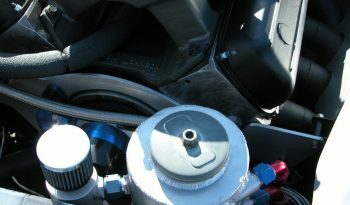 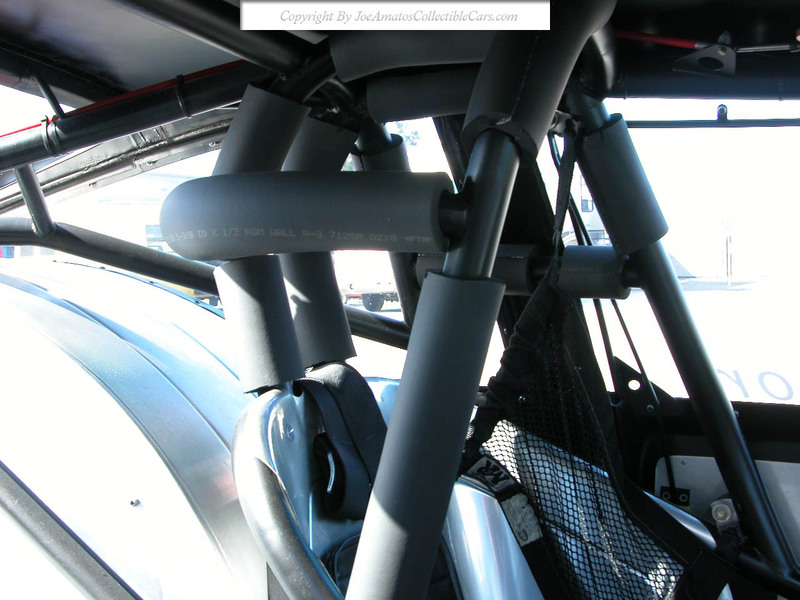 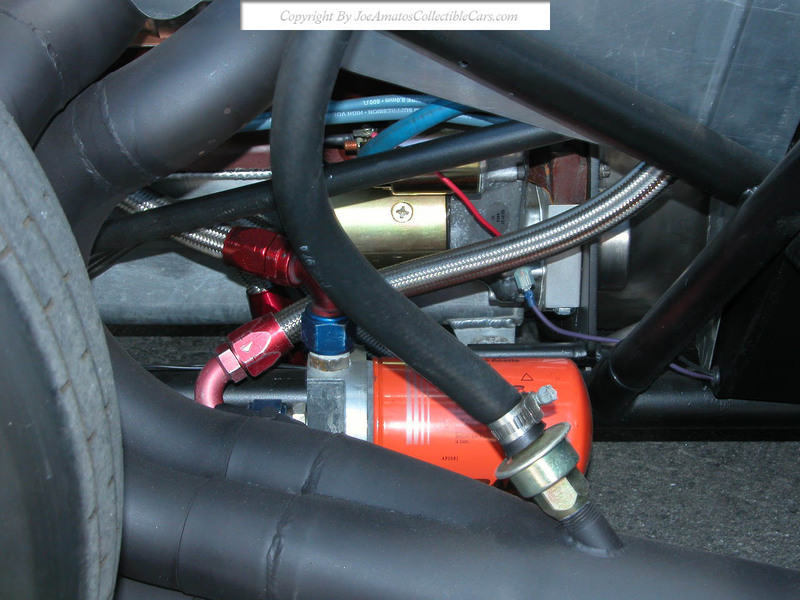 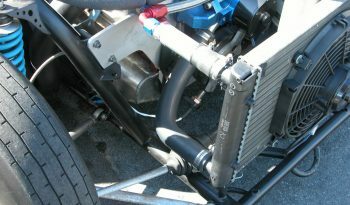 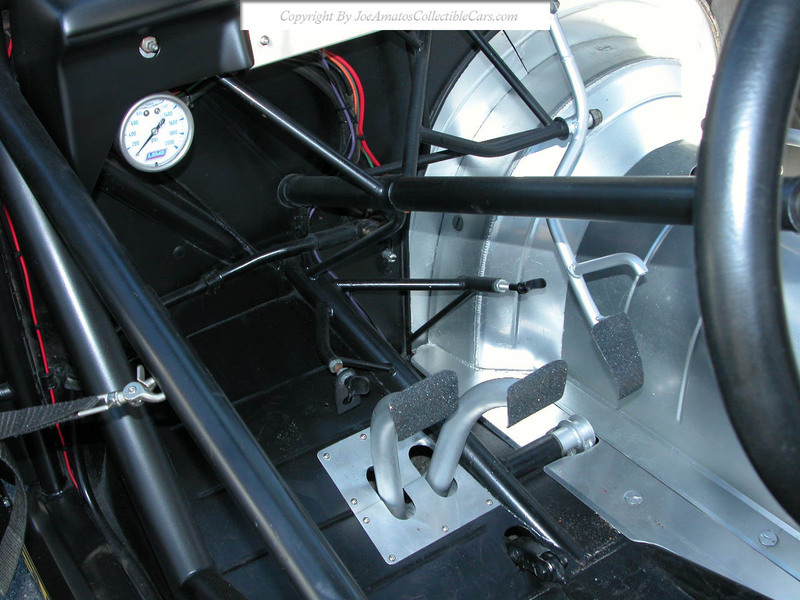 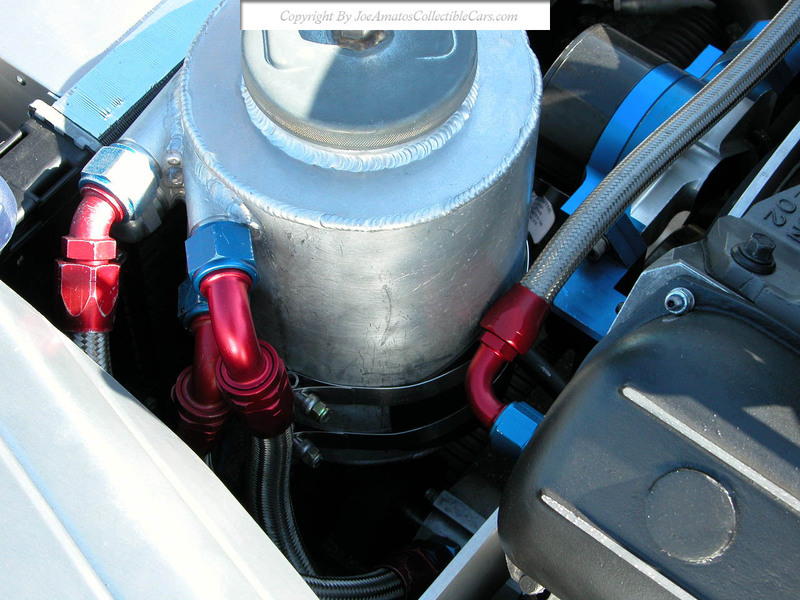 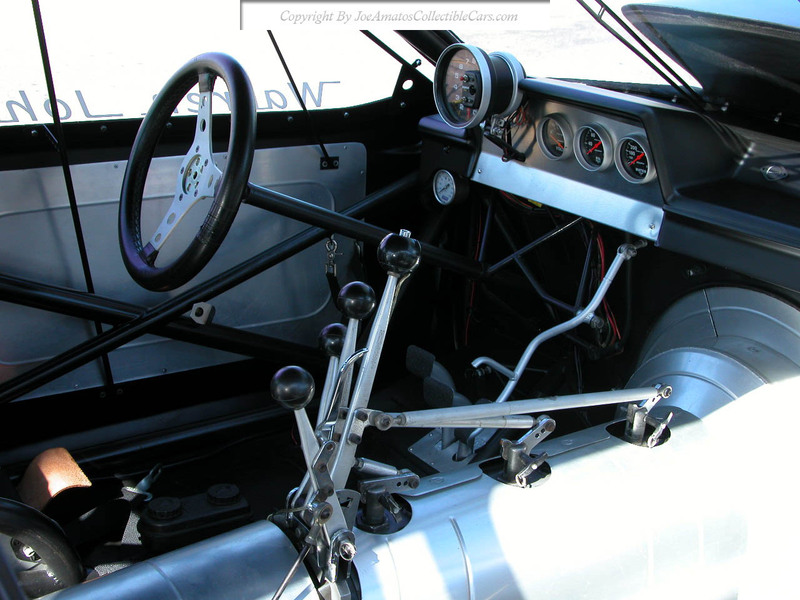 It includes rear end assembly, rear coil-over shock and springs, front struts and springs, steering rack and brakes. Every effort has been made to restore the body and chassis to the same exact detail as it was in 1987. 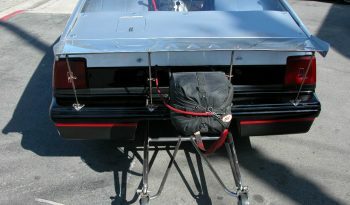 Each part on this car if not still the original part were restored with attention to detail overseen by Warren Johnson himself. 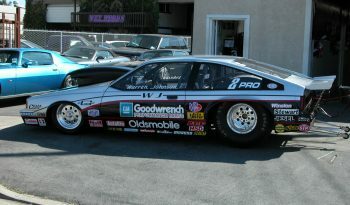 This car has many items Warren custom built just for the Firenza. 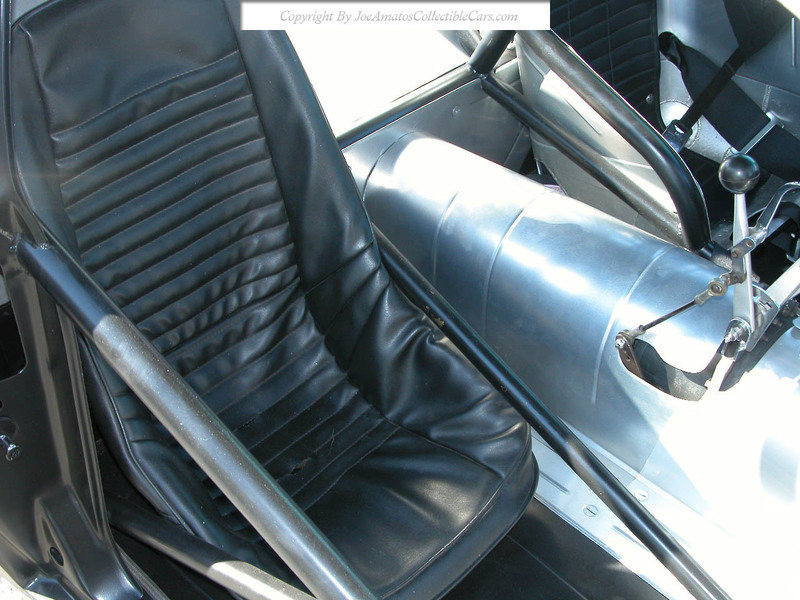 No restoration expense has been spared. An international search was conducted to acquire the few missing 1987 parts to make this car a reality. 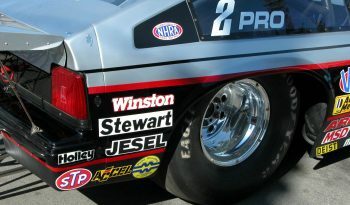 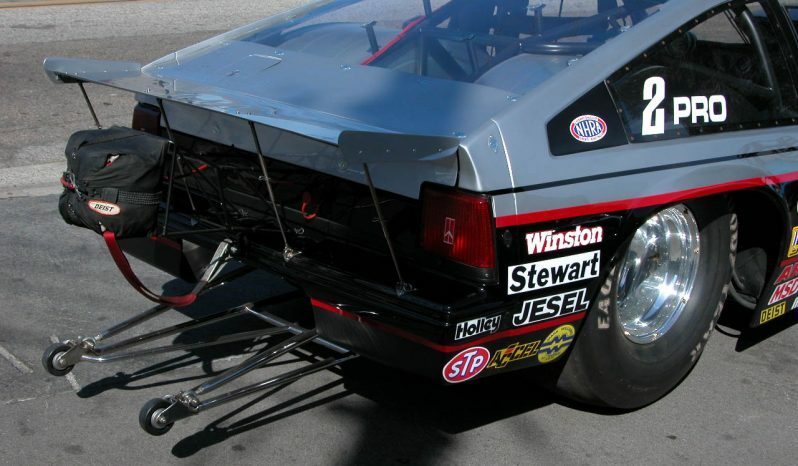 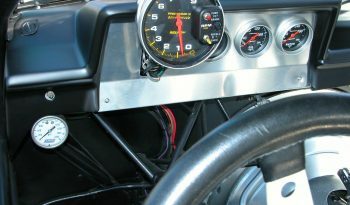 The repainting and application of graphics are a combination of vinyl and paint, as was the case when Warren Johnson raced his 1987 Firenza. 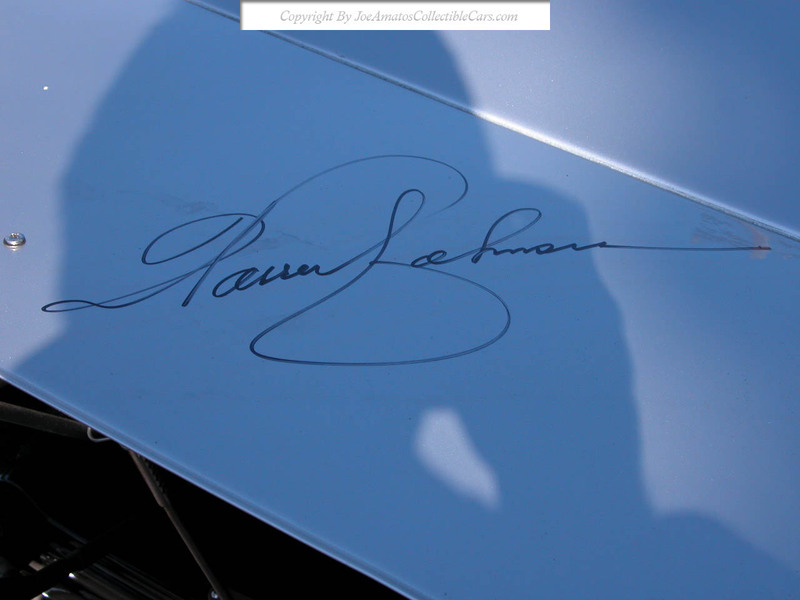 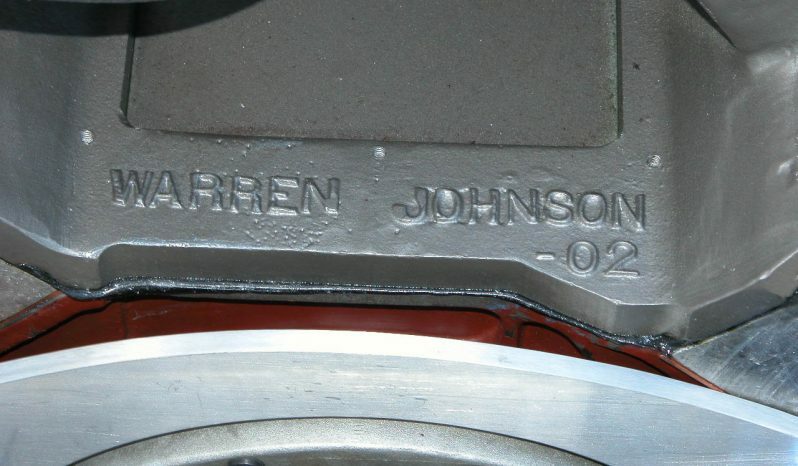 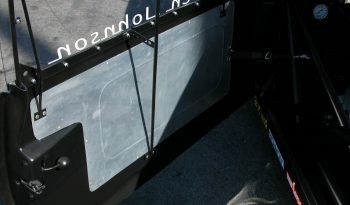 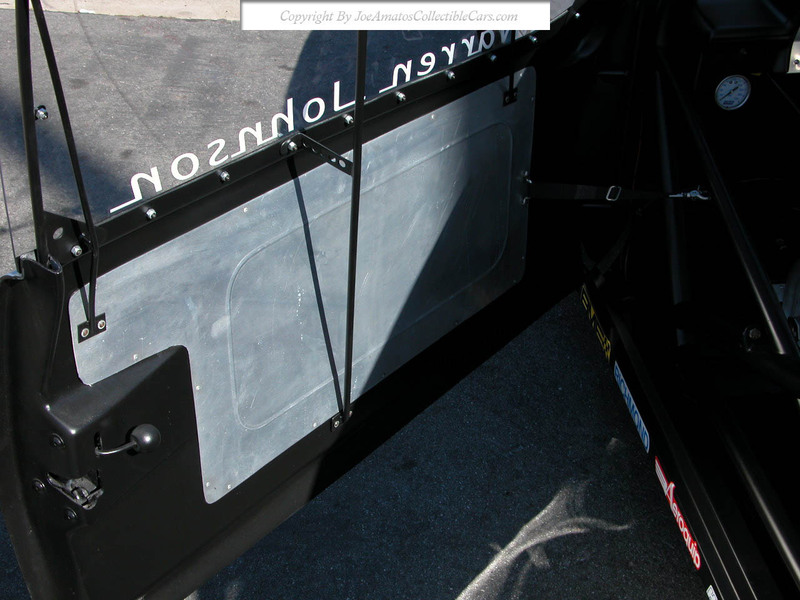 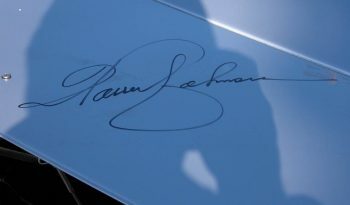 Warren Johnson’s signature is on the rear wing of the car.